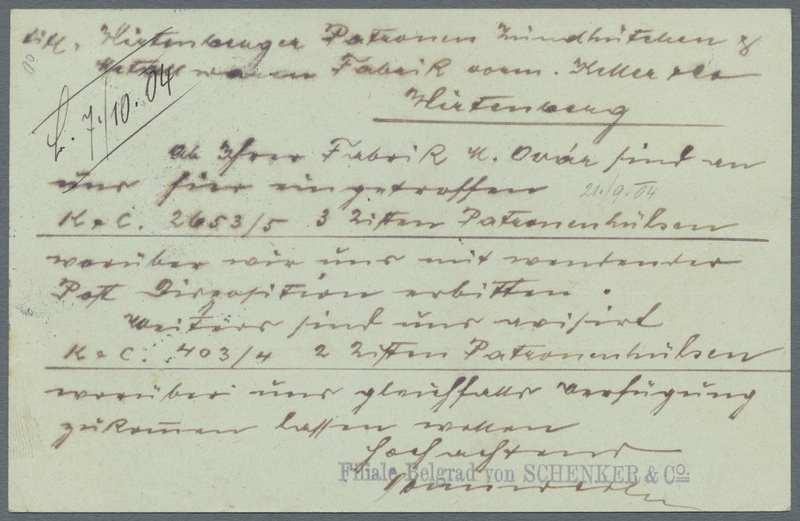 20421 ungebraucht (hinged) * postfrisch (never hinged) ** Mi. 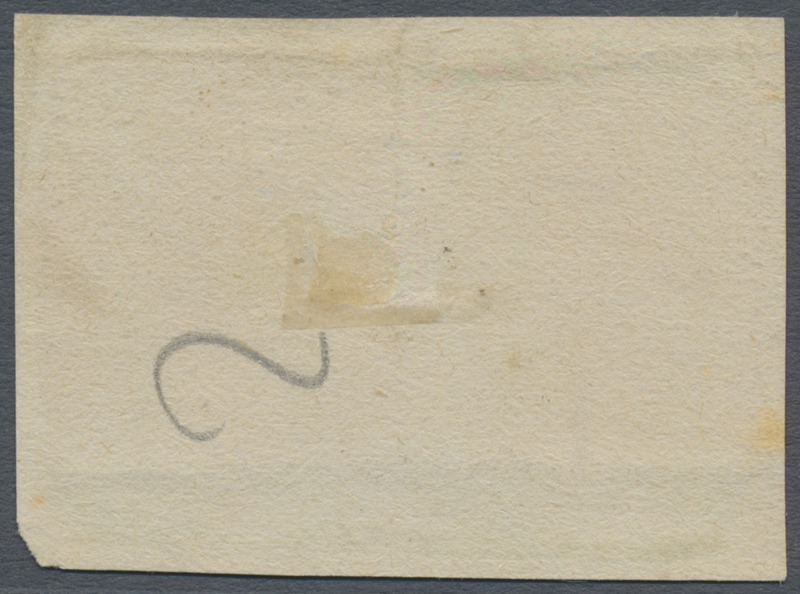 11 IC 1869 (Sep). 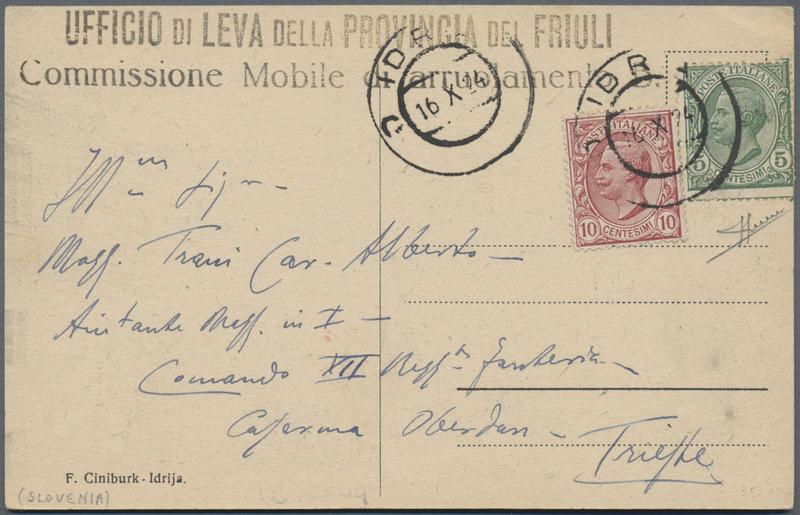 Prince Milan. 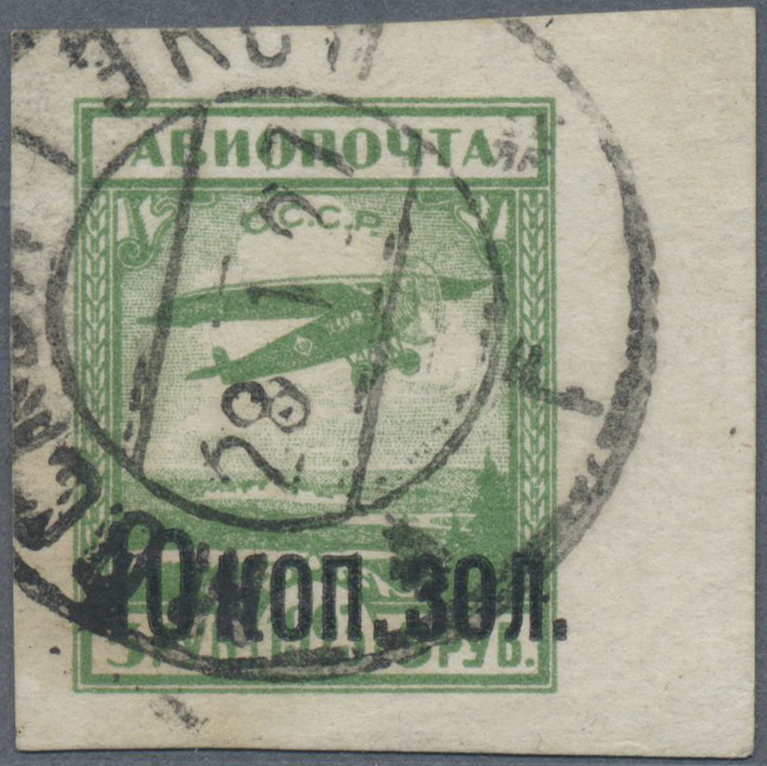 Newspaper Stamp. 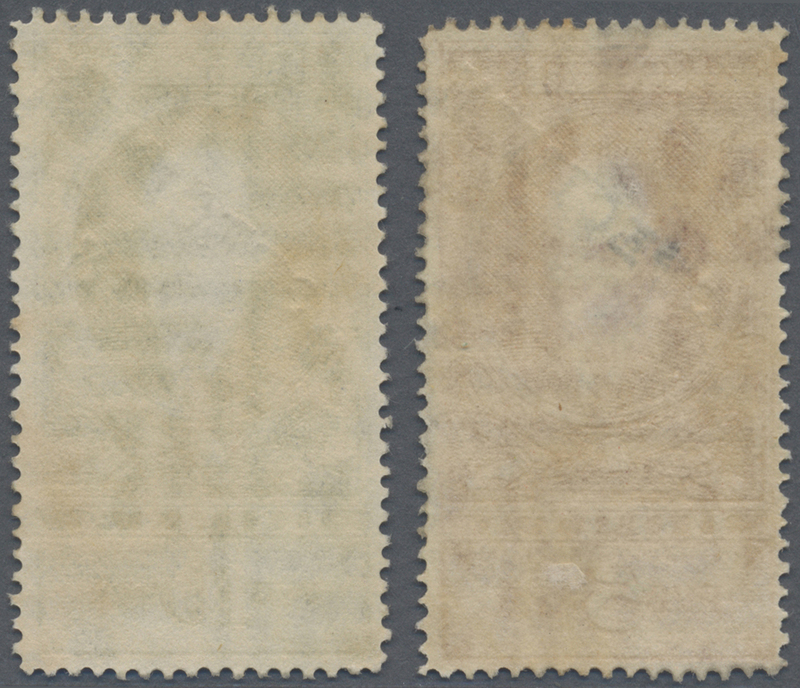 First printing, 1p yellow, Perf L9 1/2x12. 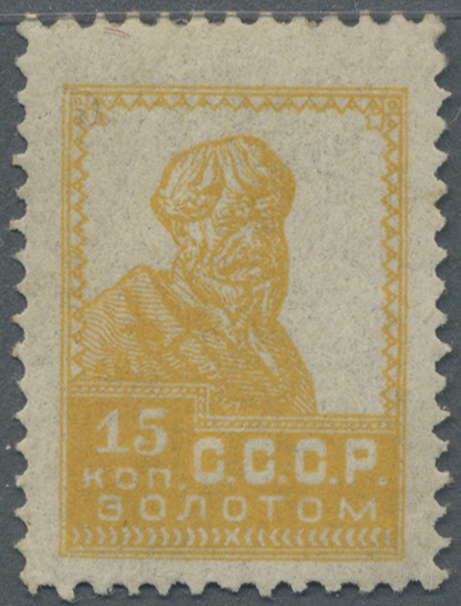 Mint never hinged vertical block of fifteen. 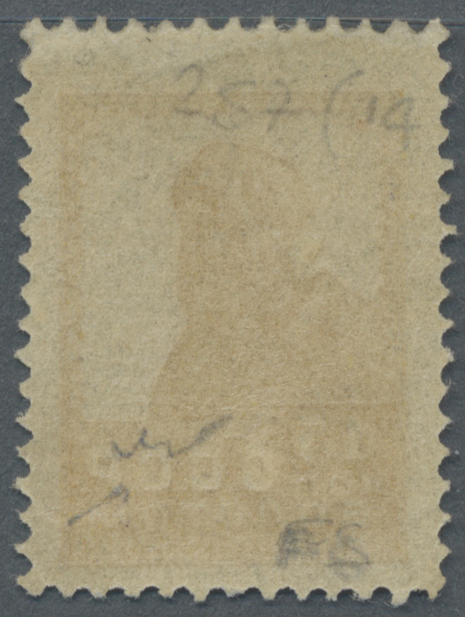 SG N47a. 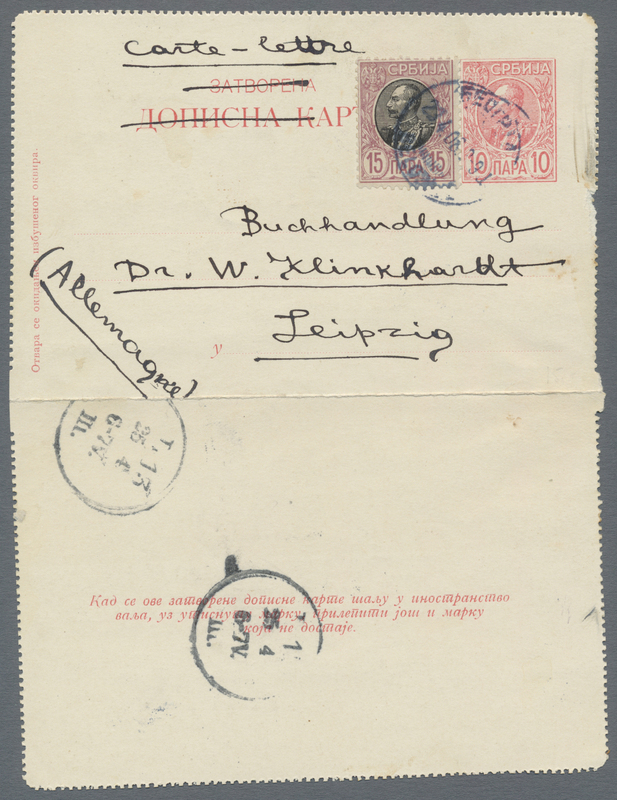 20431 Brief (cover) Briefstück (on piece) 233 1929. 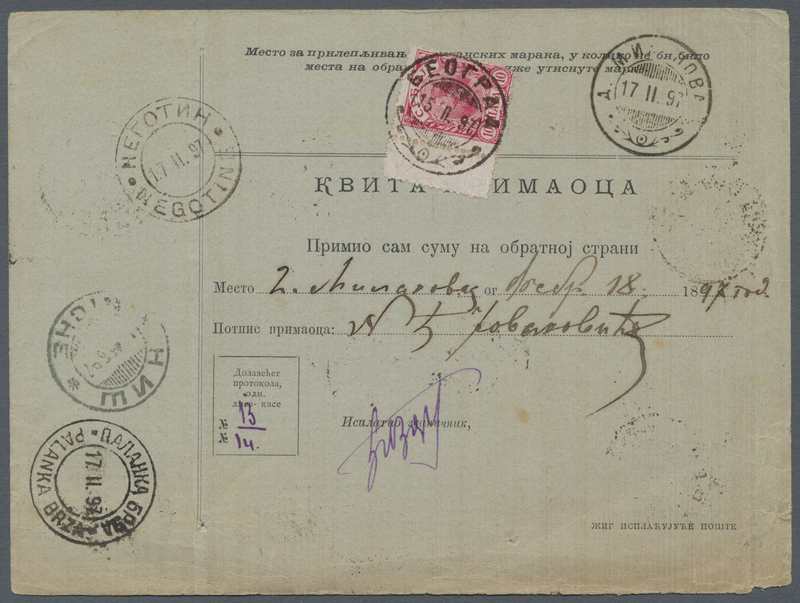 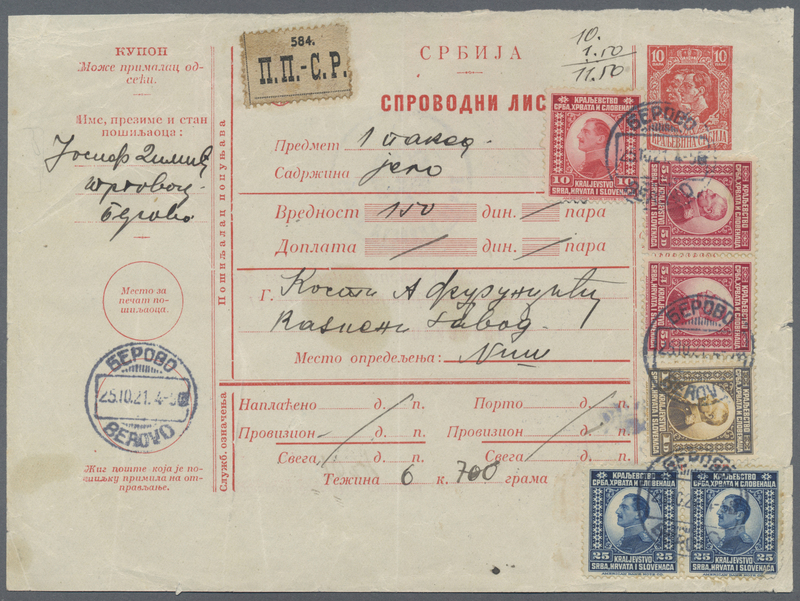 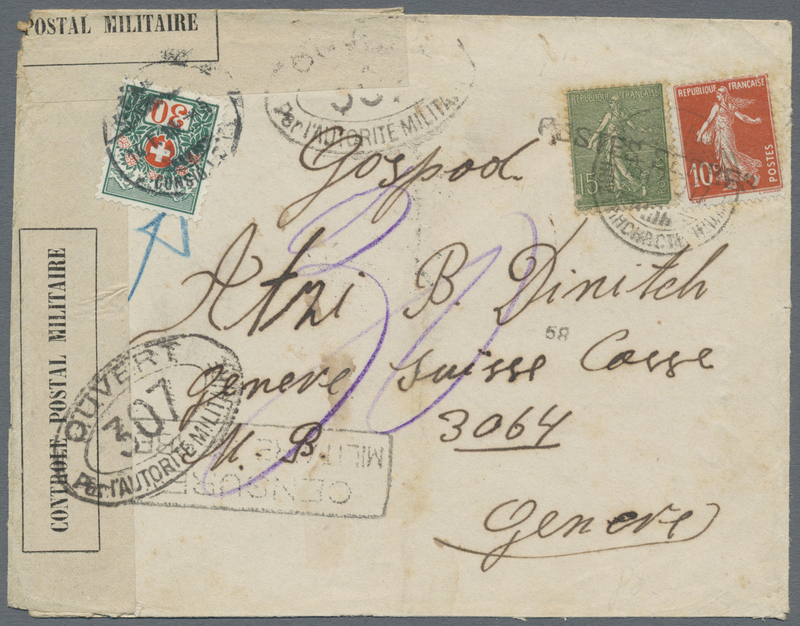 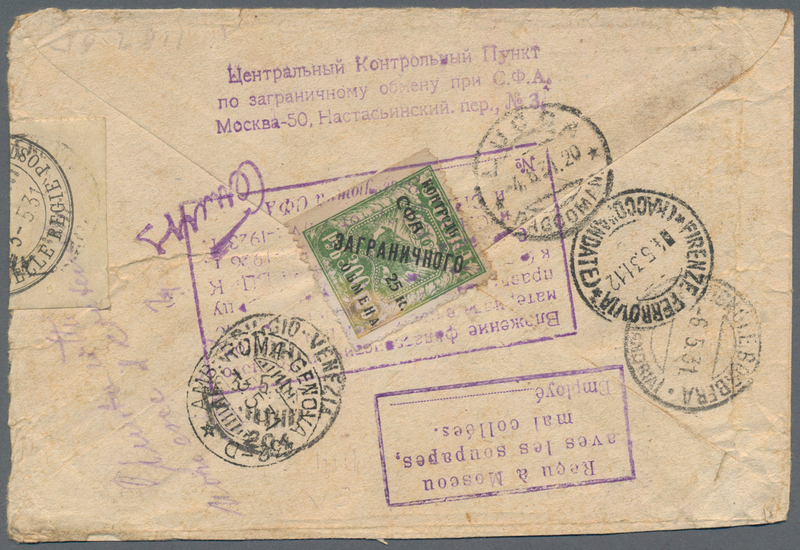 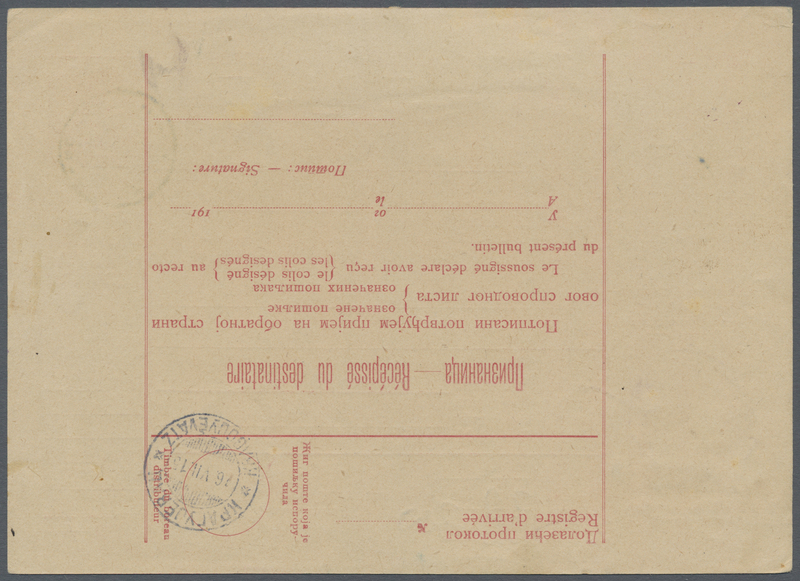 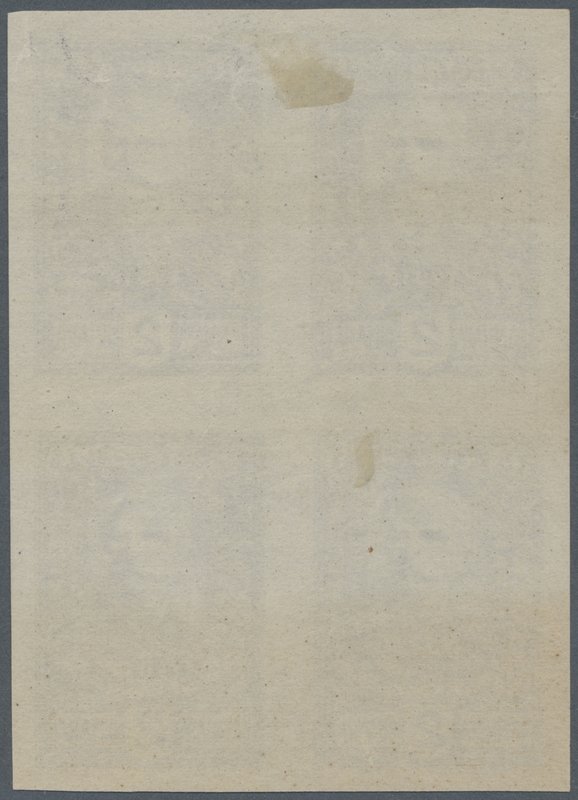 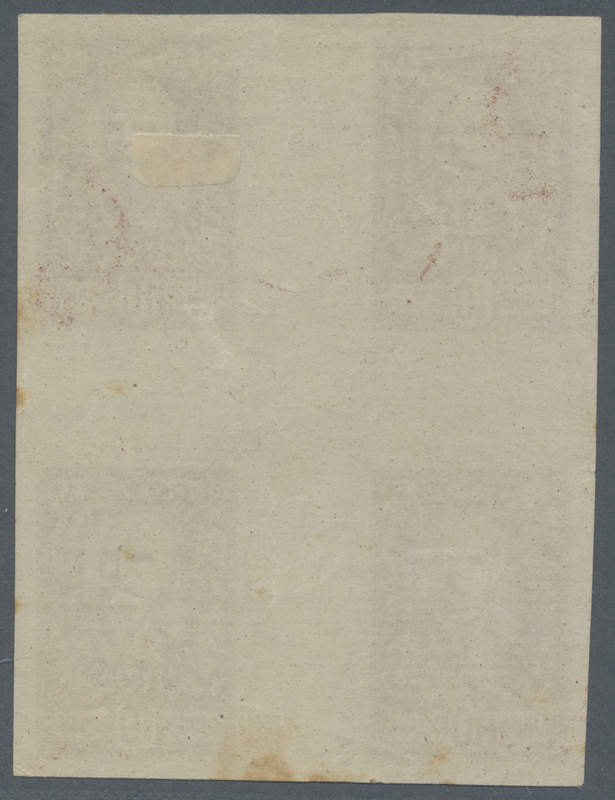 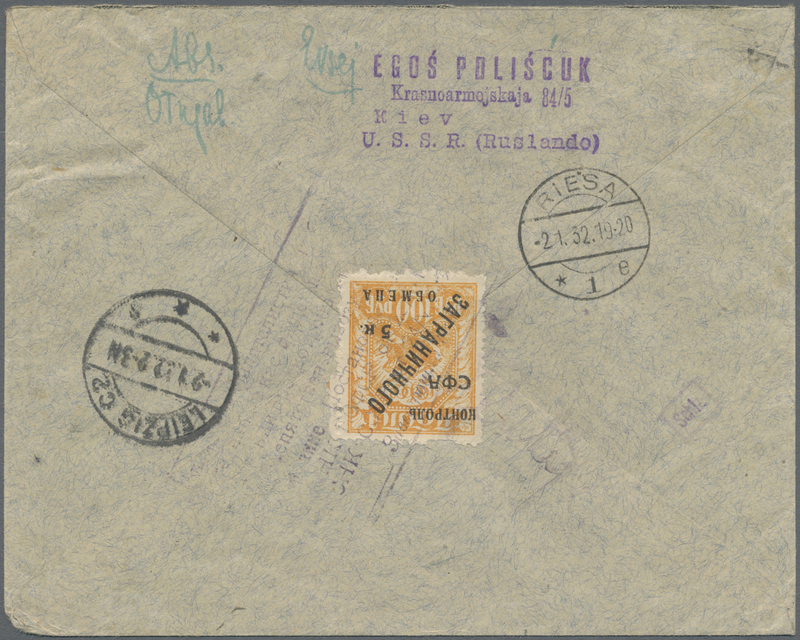 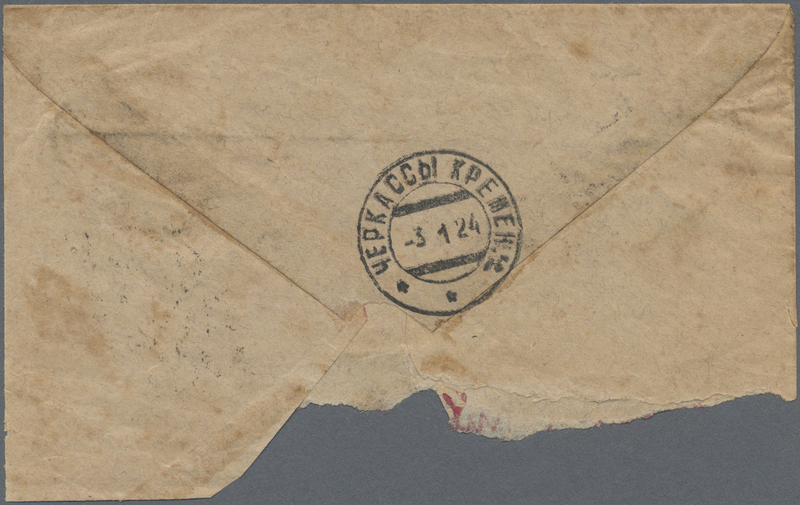 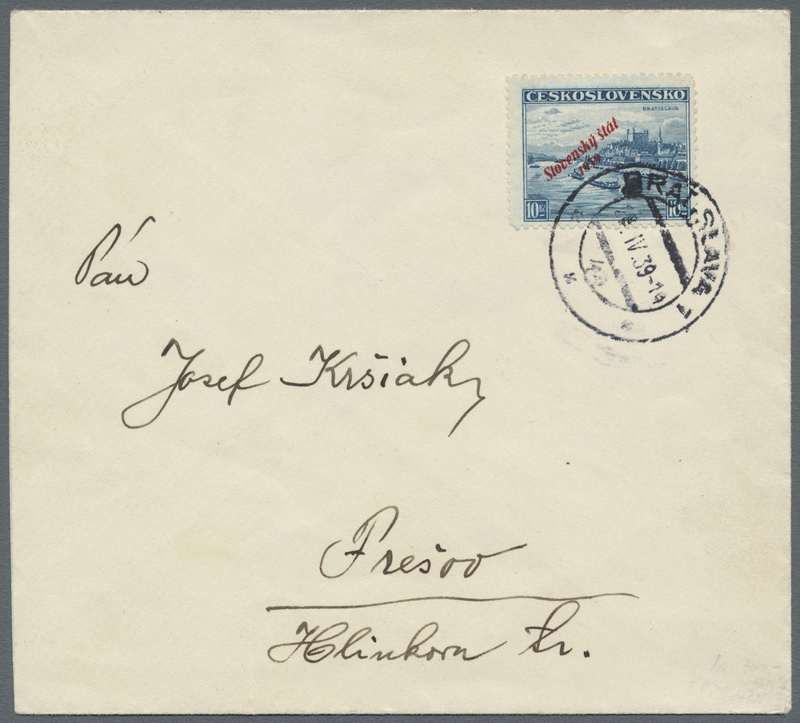 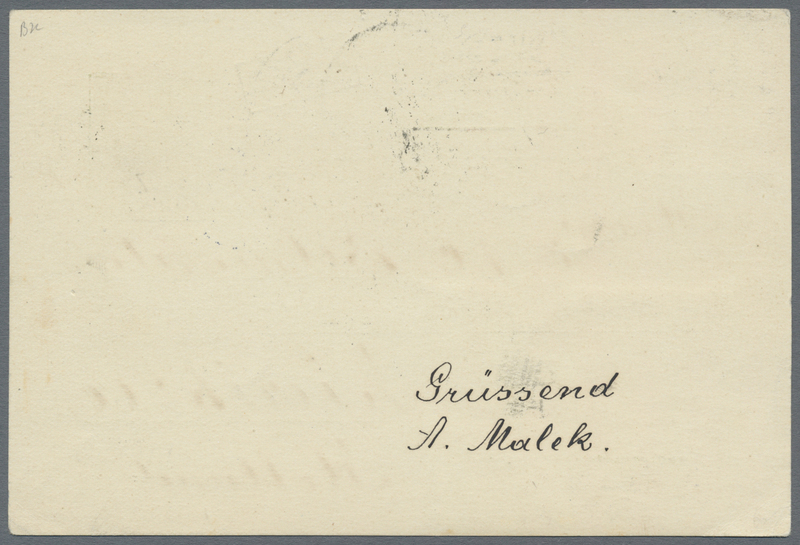 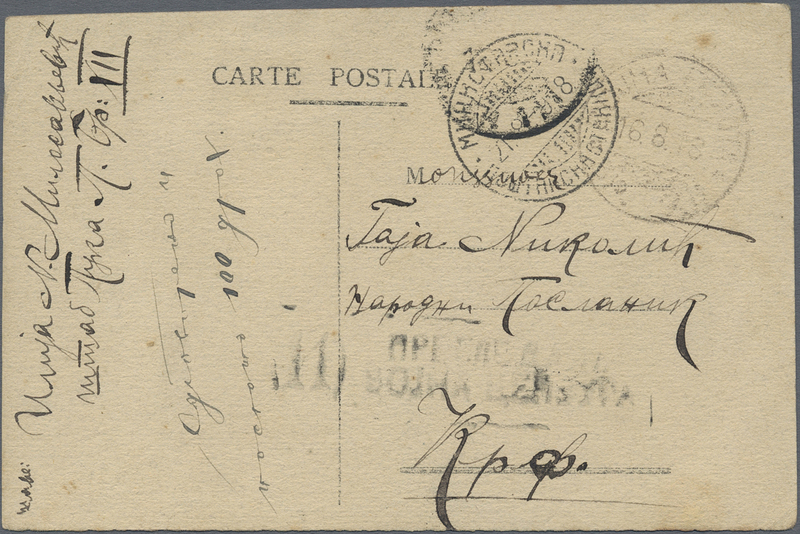 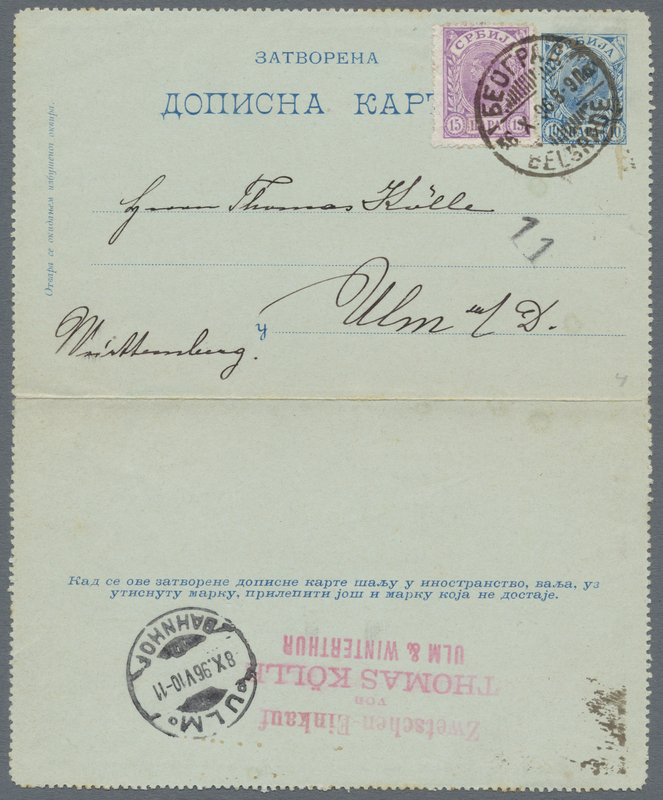 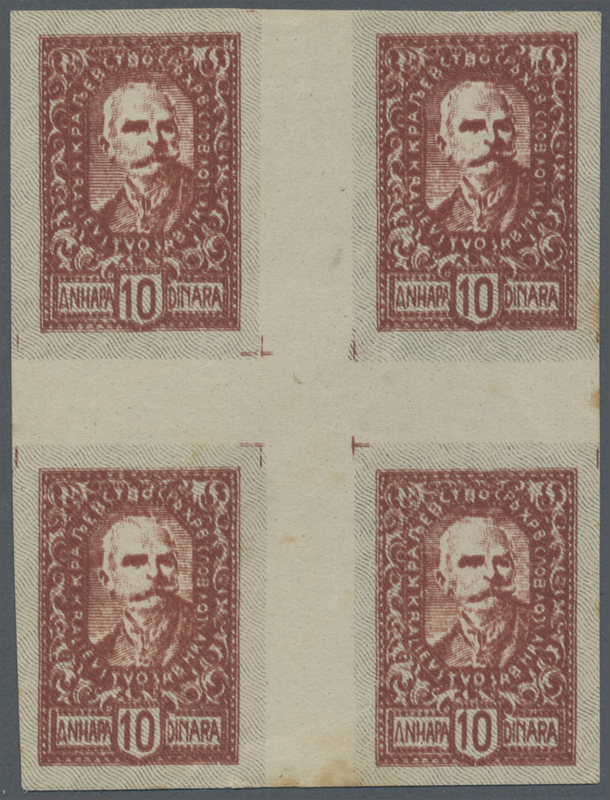 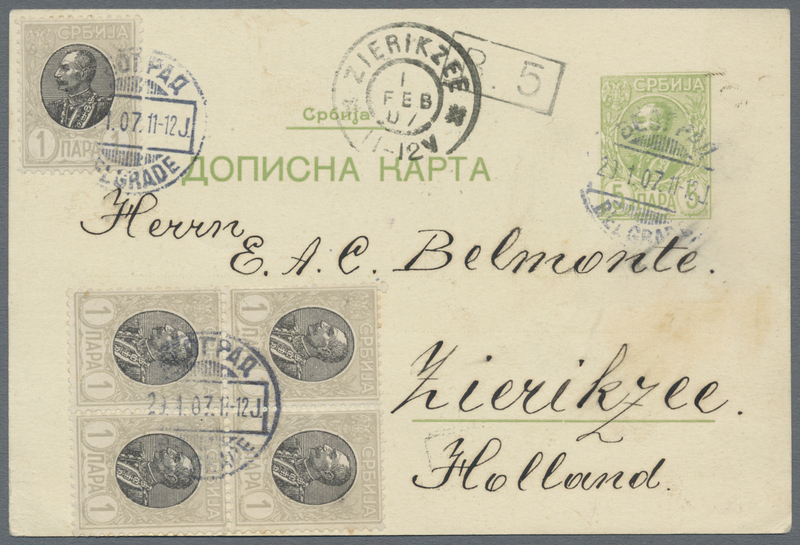 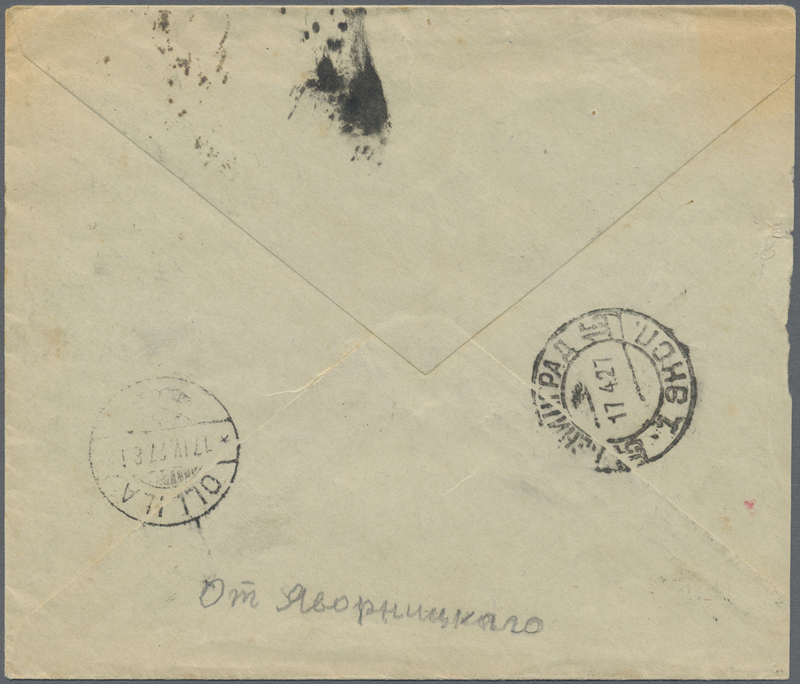 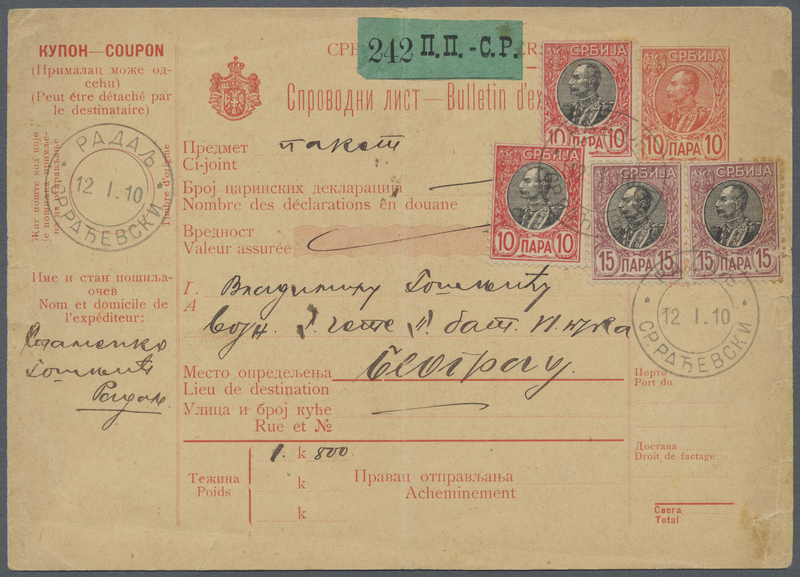 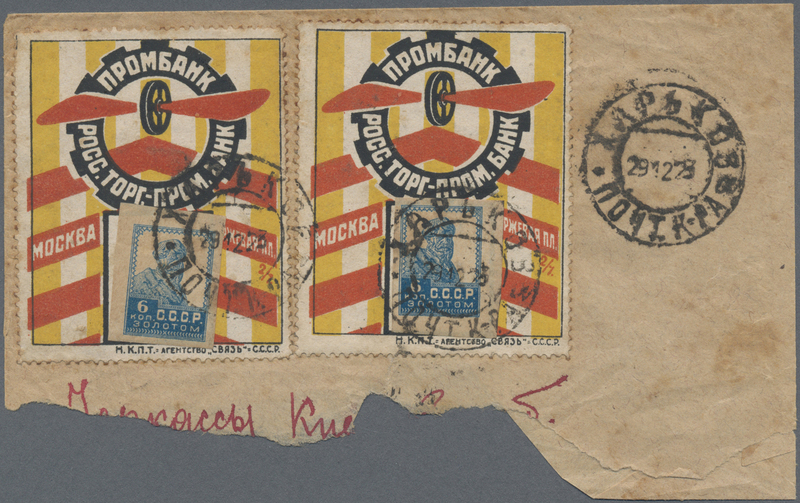 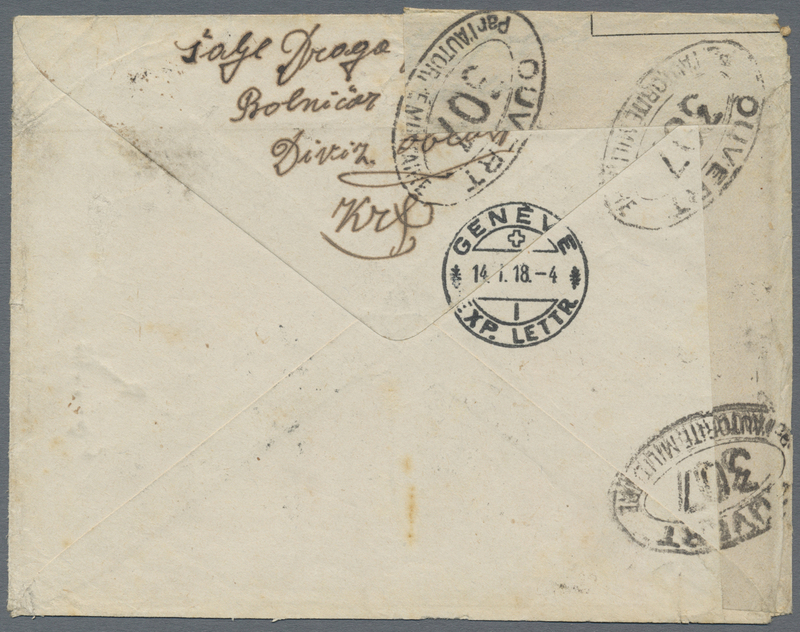 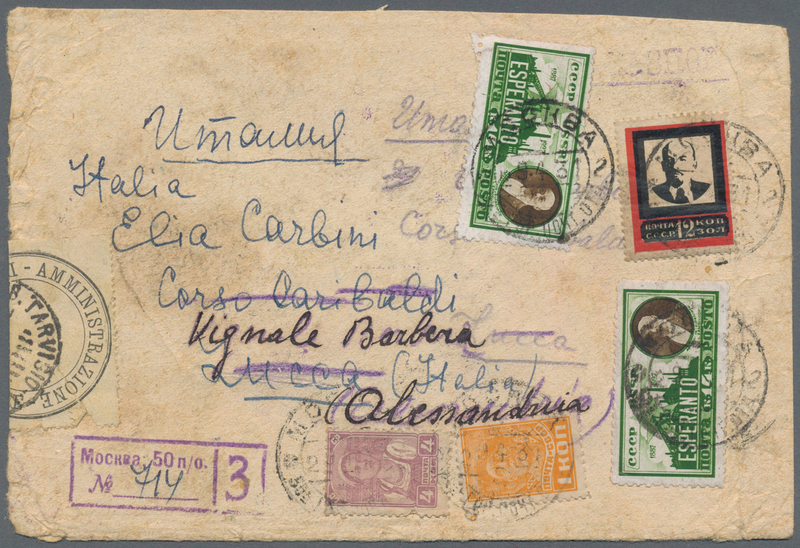 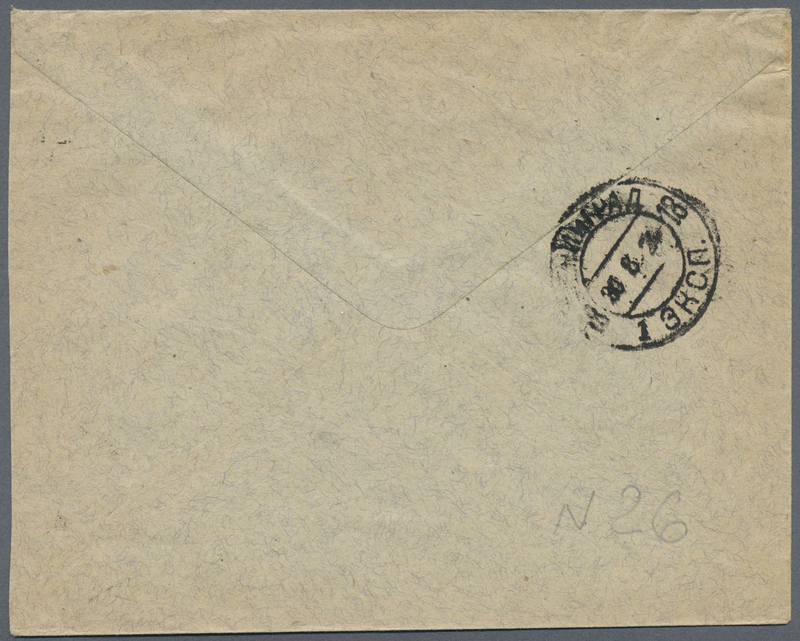 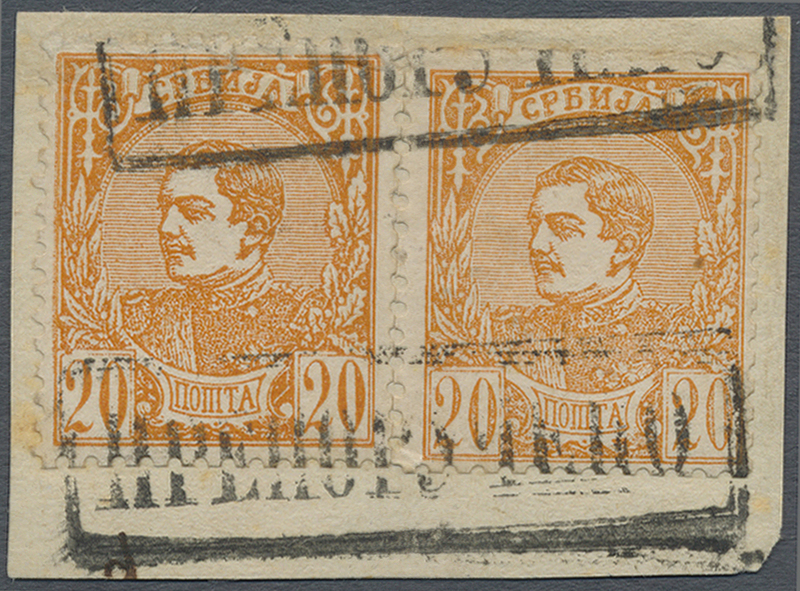 Damaged cover with two advertising collor stamps of the Prombank Bank. 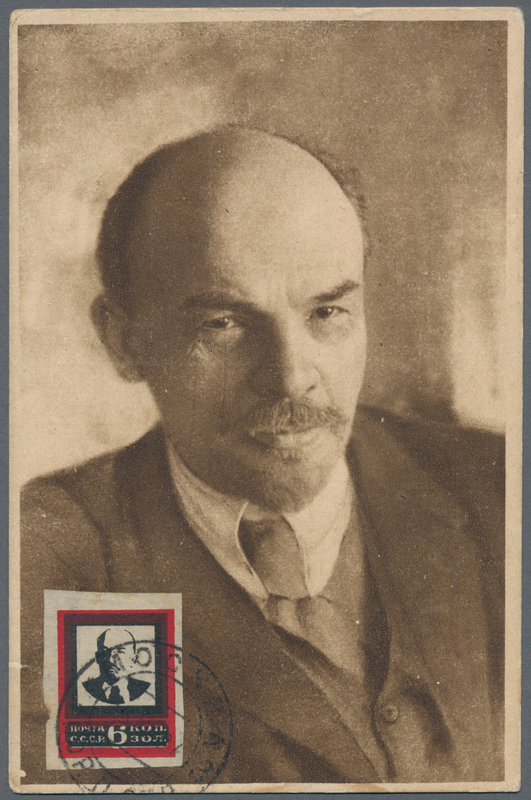 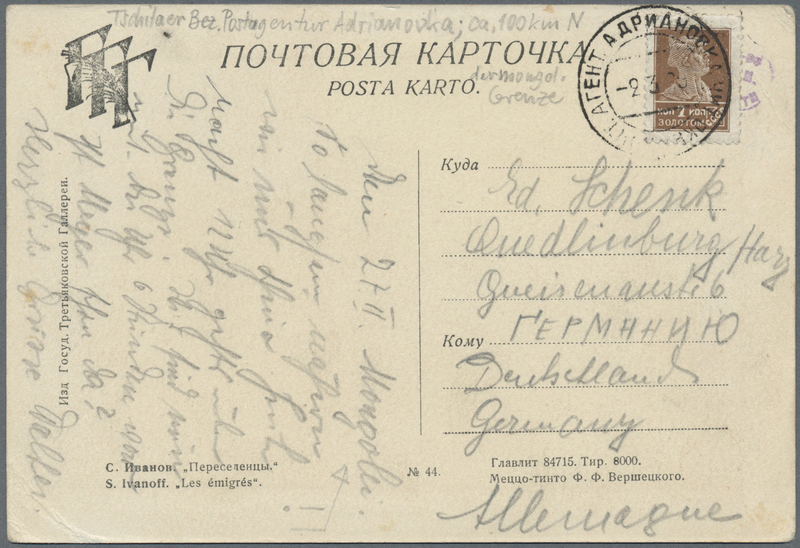 20434 Ansichtskarte (Picture postcard) 1929, 7 K. tied "AGENT. 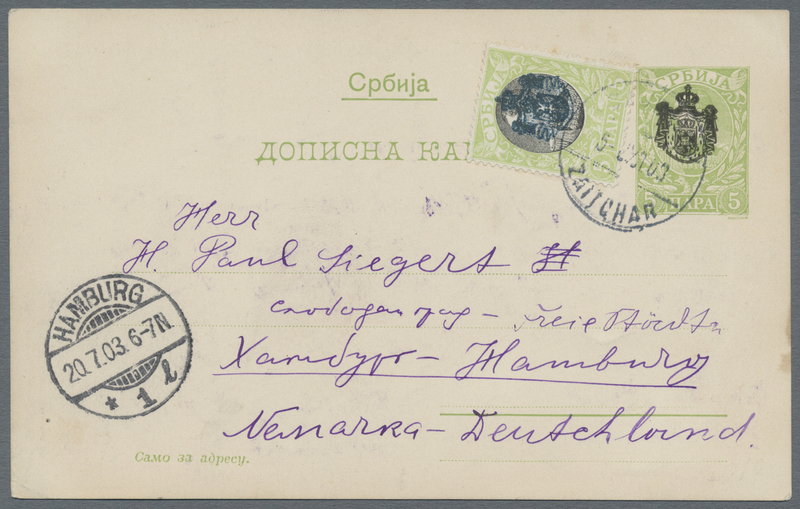 ADRIANOVKA -2 3 29" to ppc "S. Ivanov - The emigrees" to Quedlinburg/Germany. 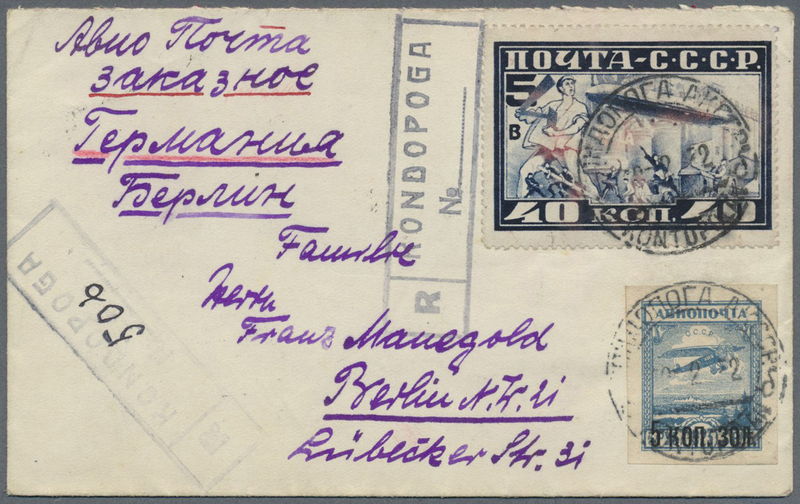 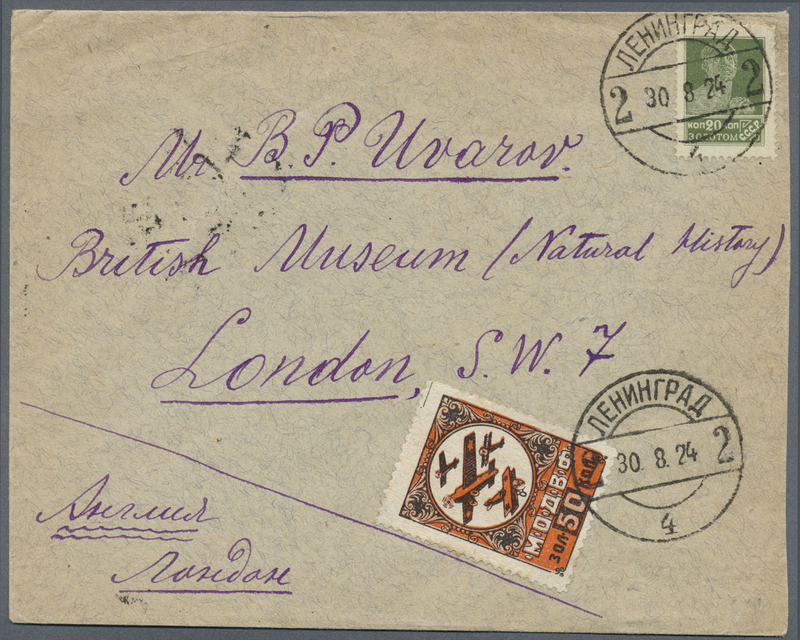 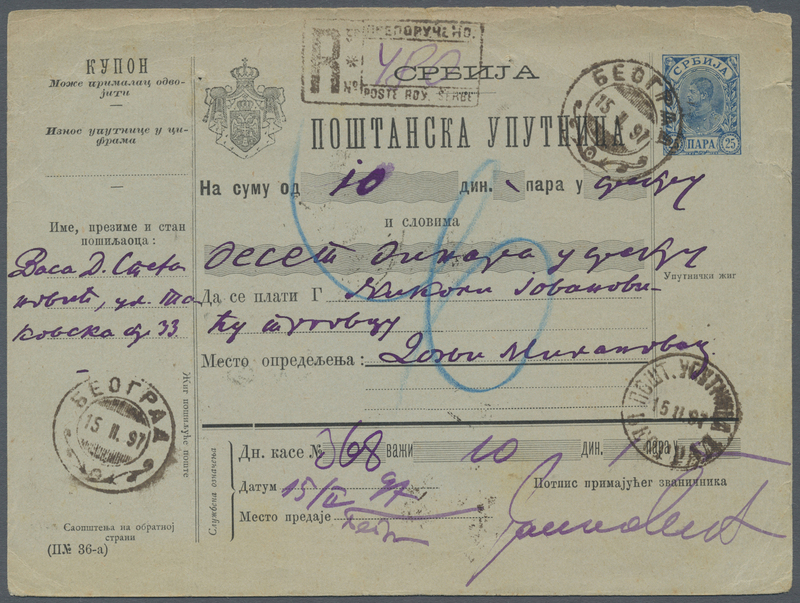 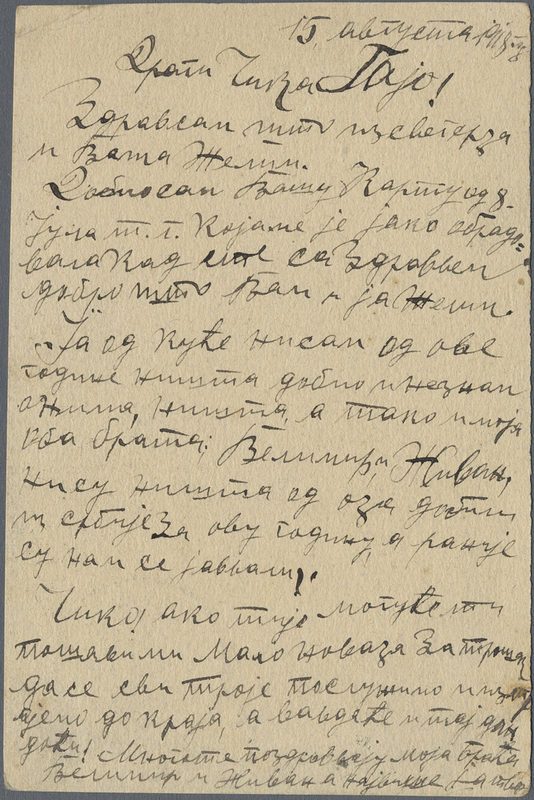 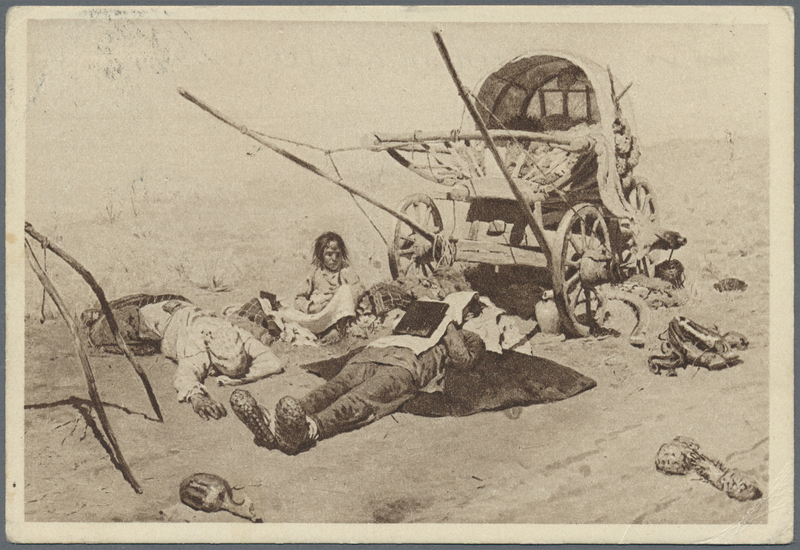 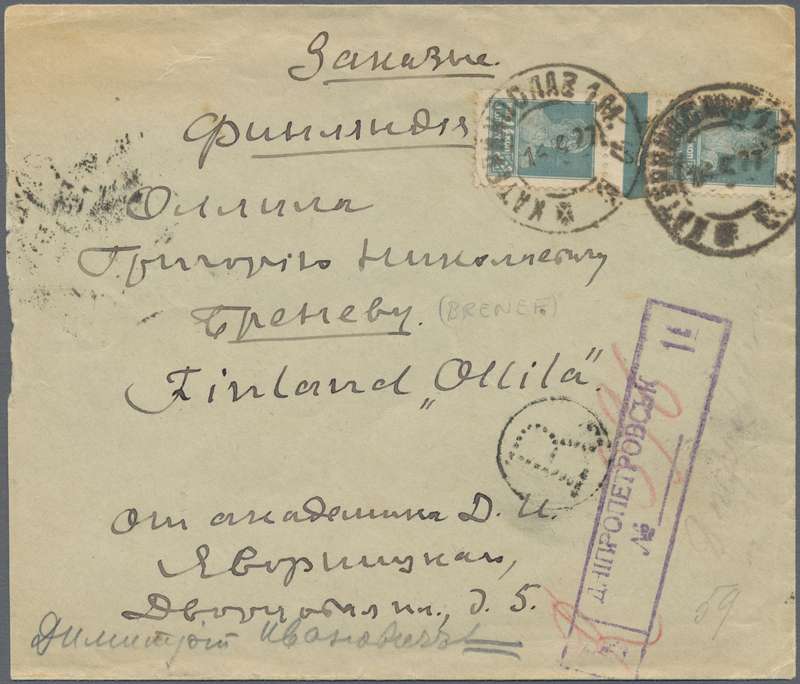 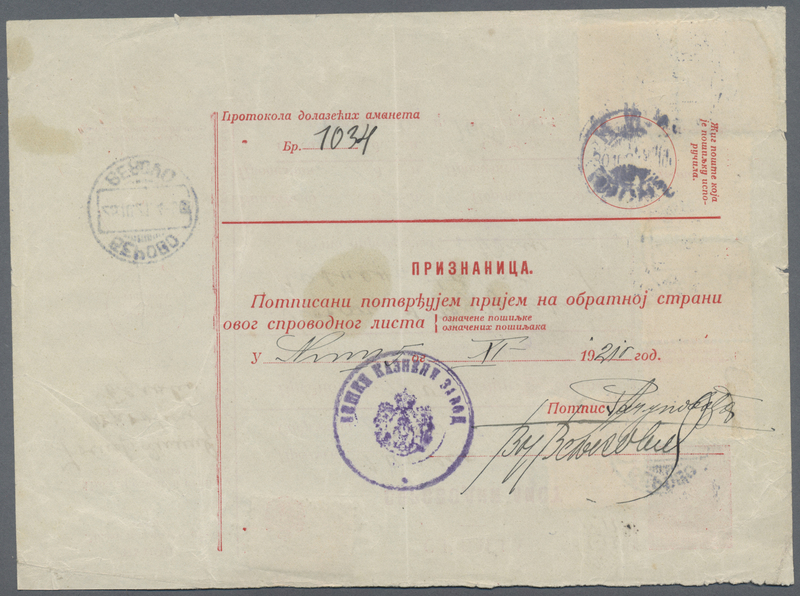 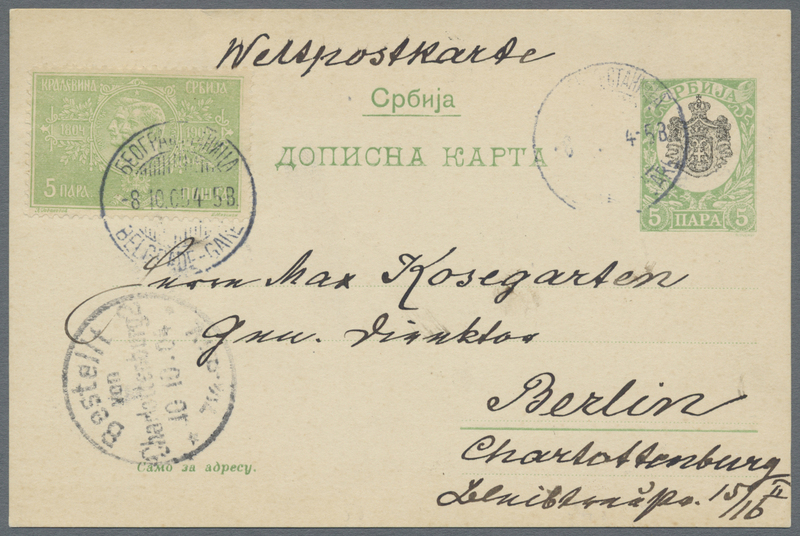 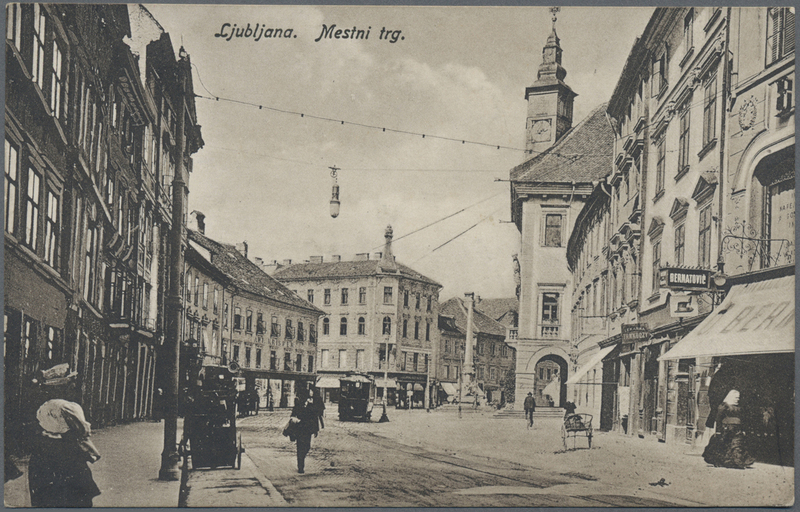 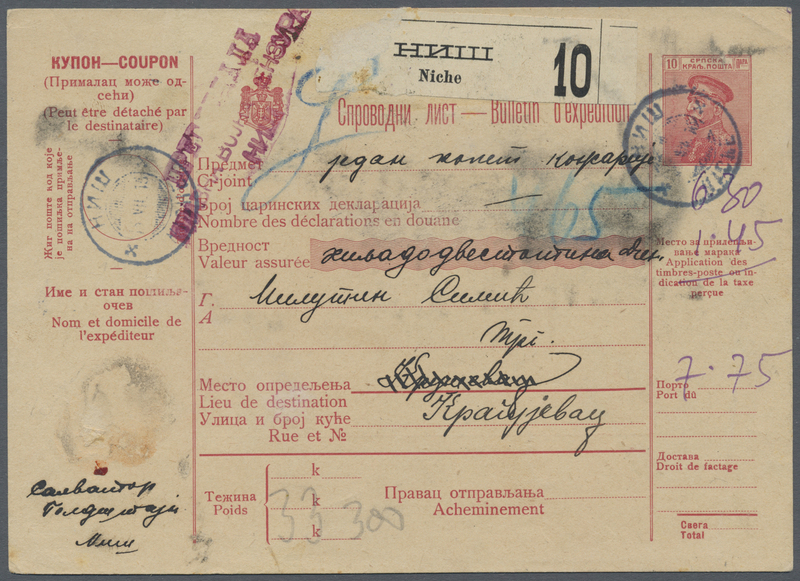 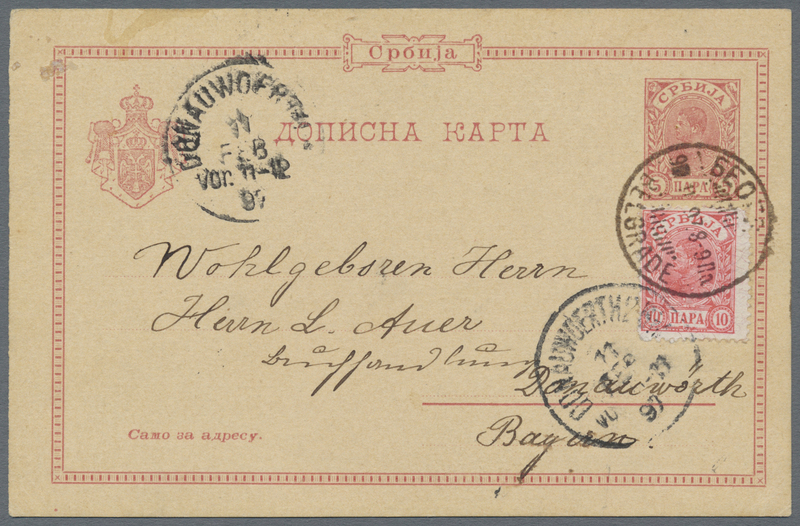 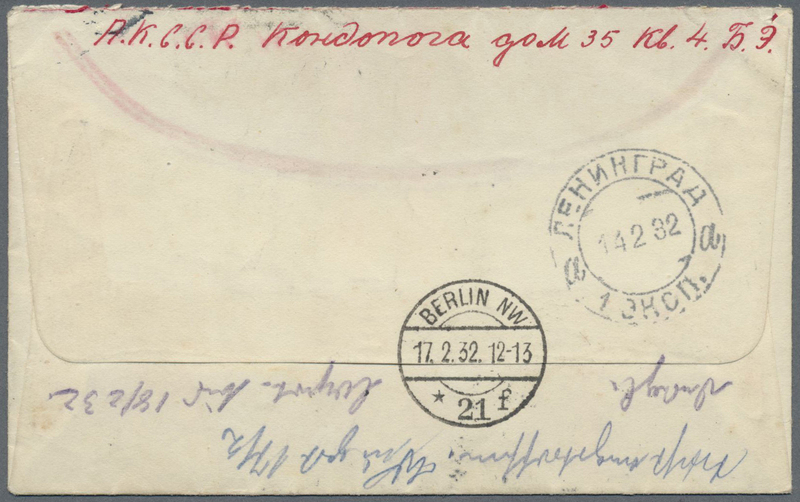 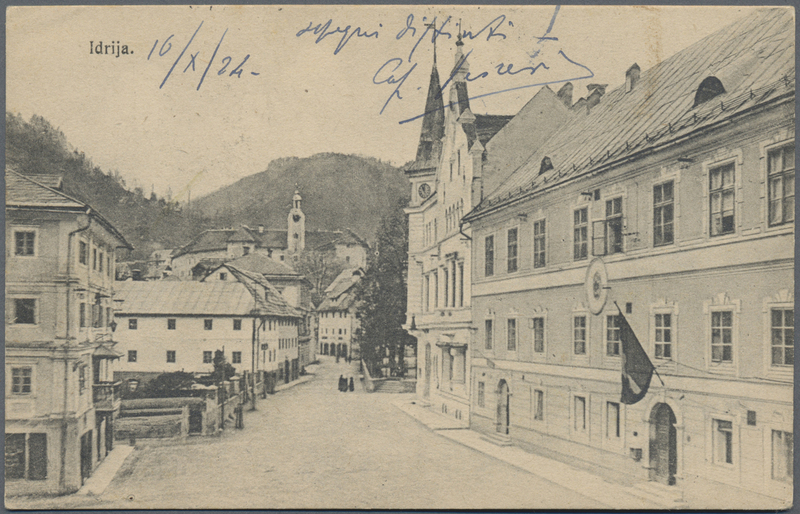 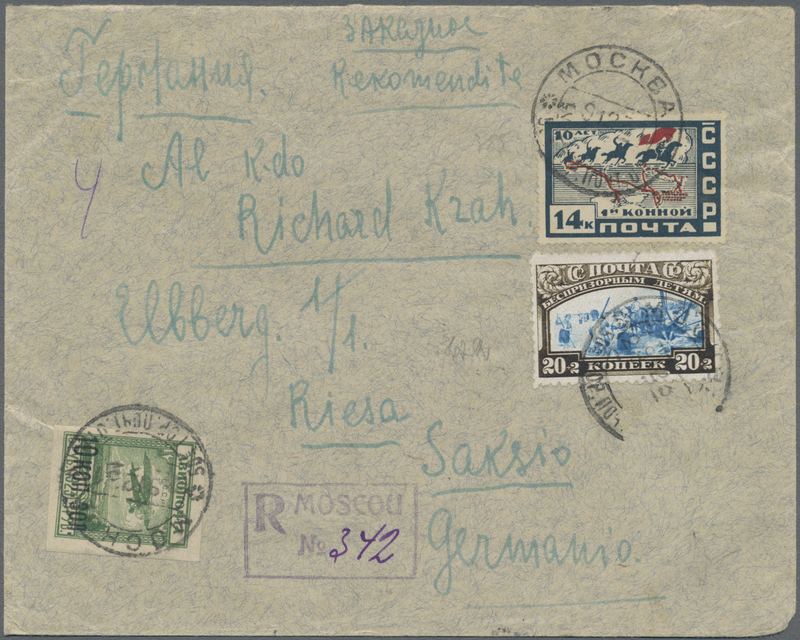 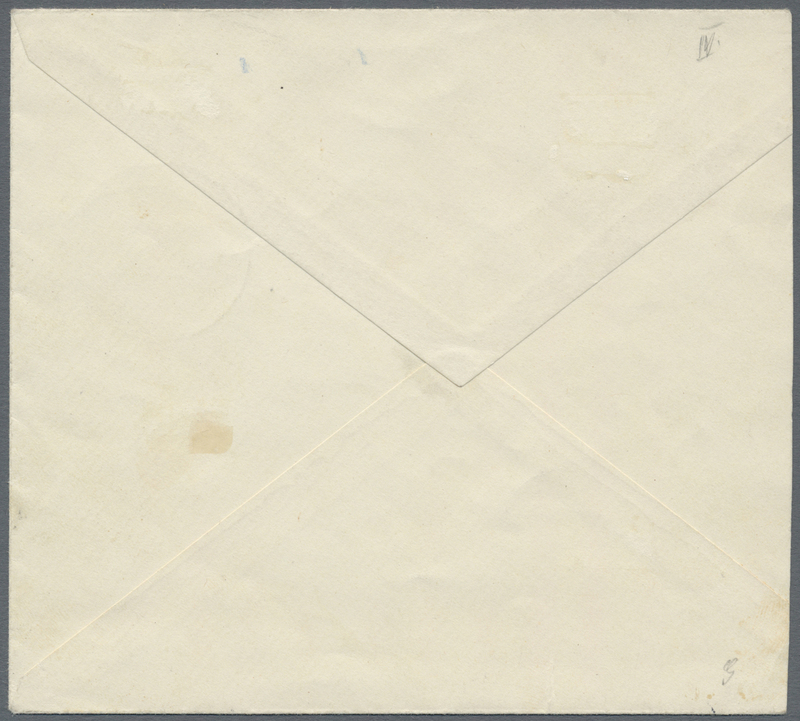 Adrianovka was a postal agency in Tchita district appr. 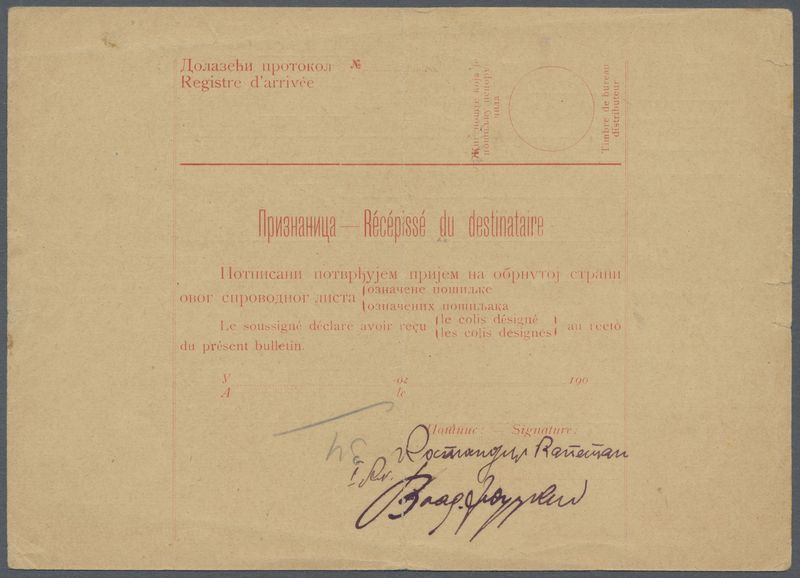 100 km north of the mongolian border, maps enclosed. 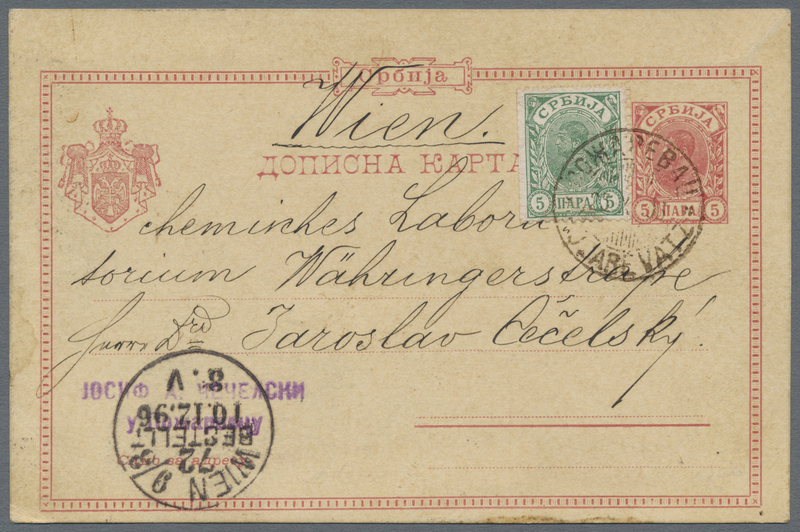 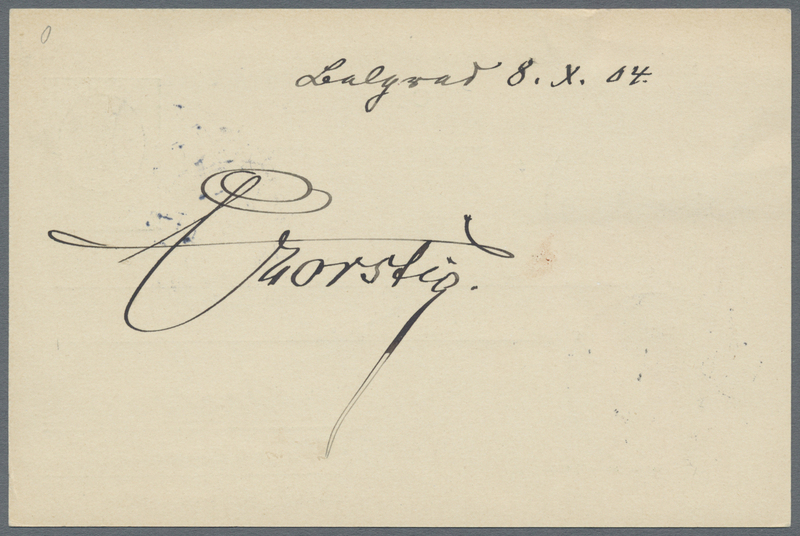 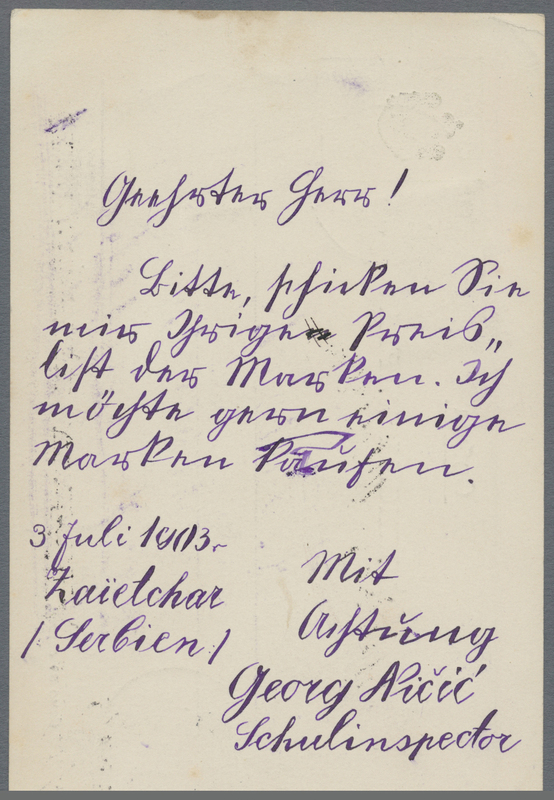 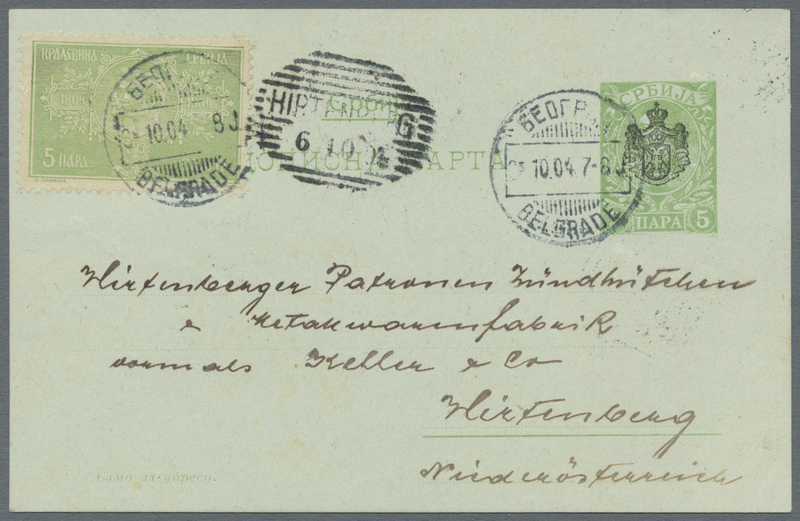 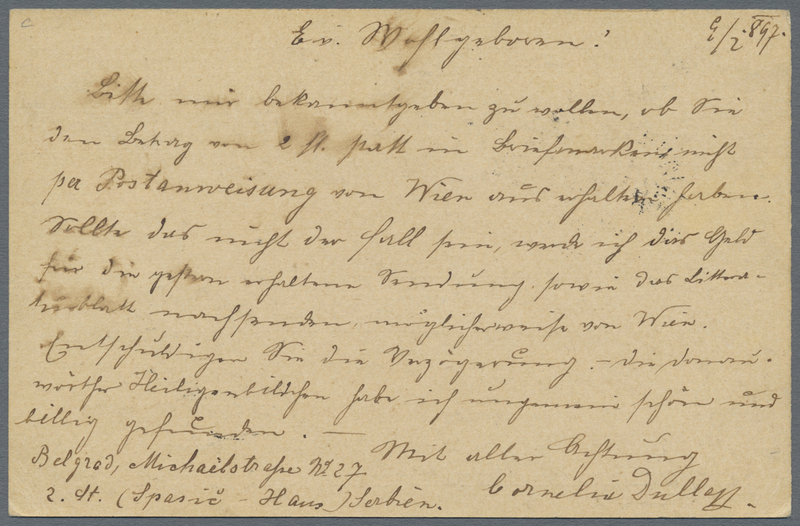 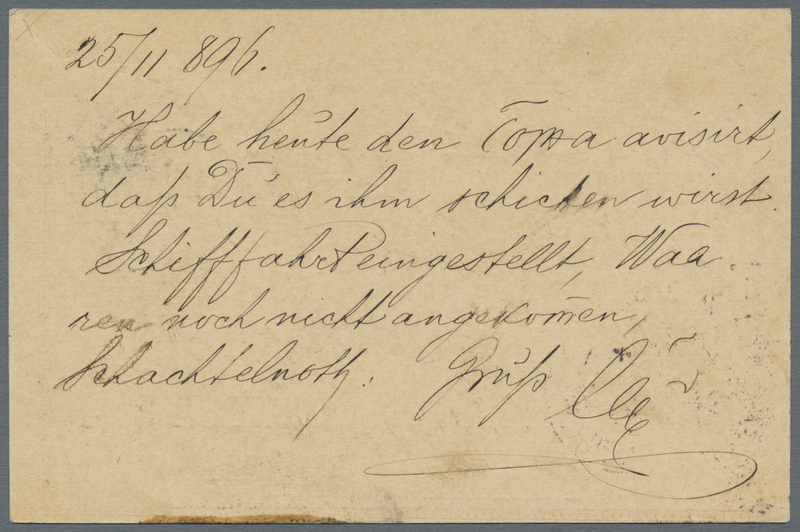 20443 postfrisch (never hinged) ** 278 IAX (VL Kat. 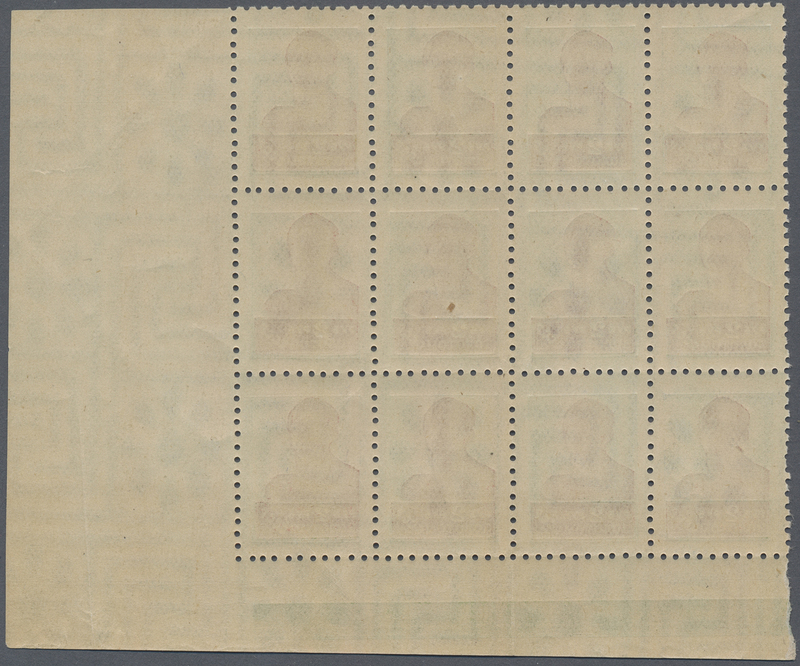 121 1925 Definitive 8 kop. 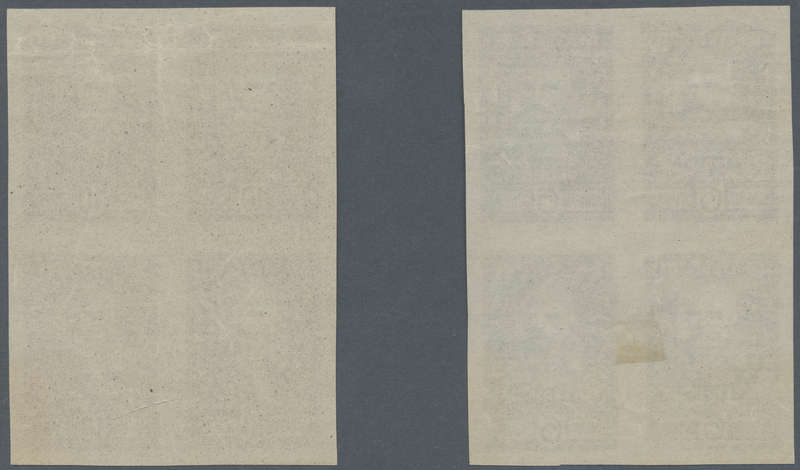 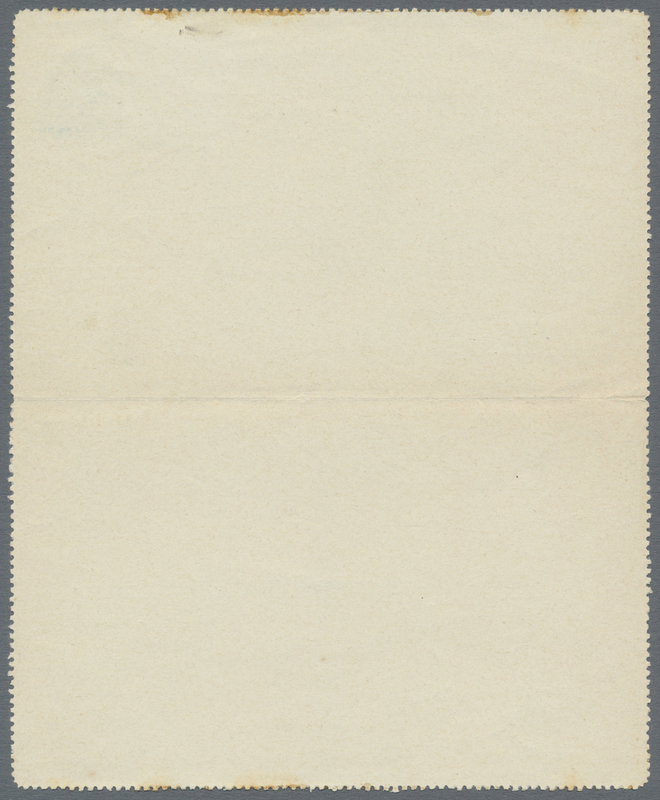 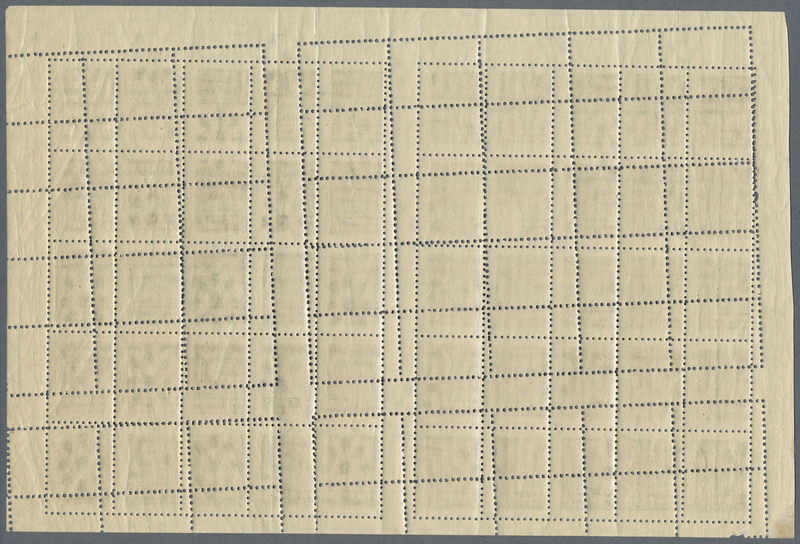 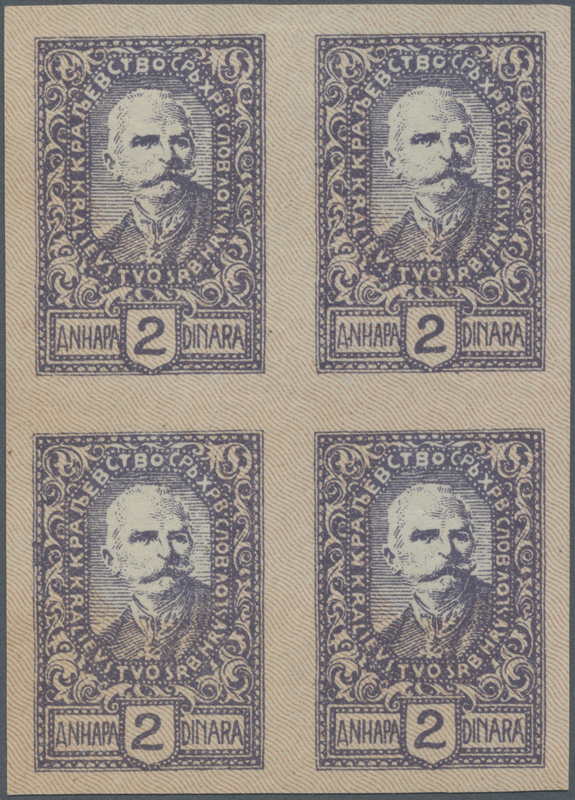 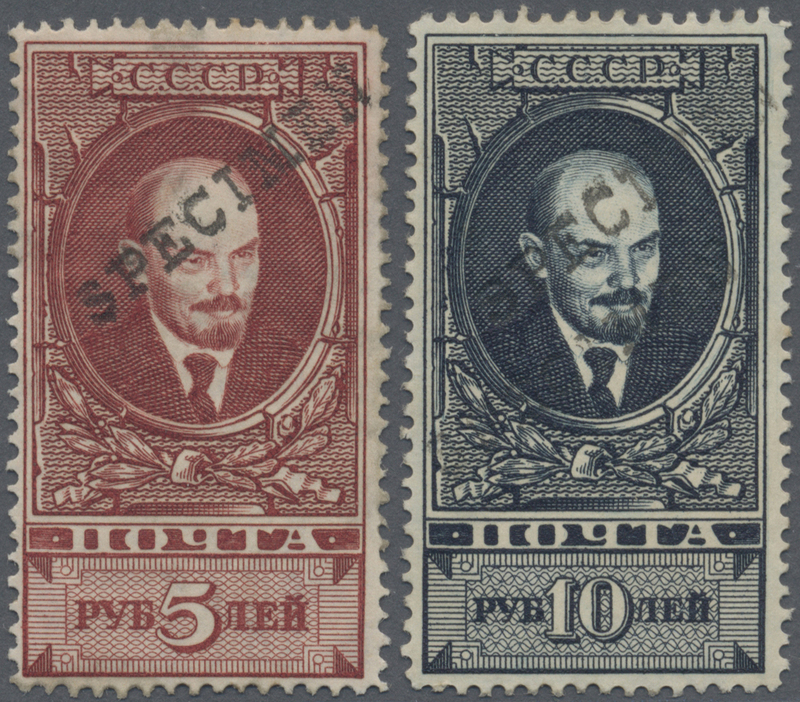 with "small head" (Type II), typographed on watermarked paper, Perf 12:12¼, strip of three with additional horizontal cancellation perforation 12¾ through lower part, mint never hinged, fresh and fine. 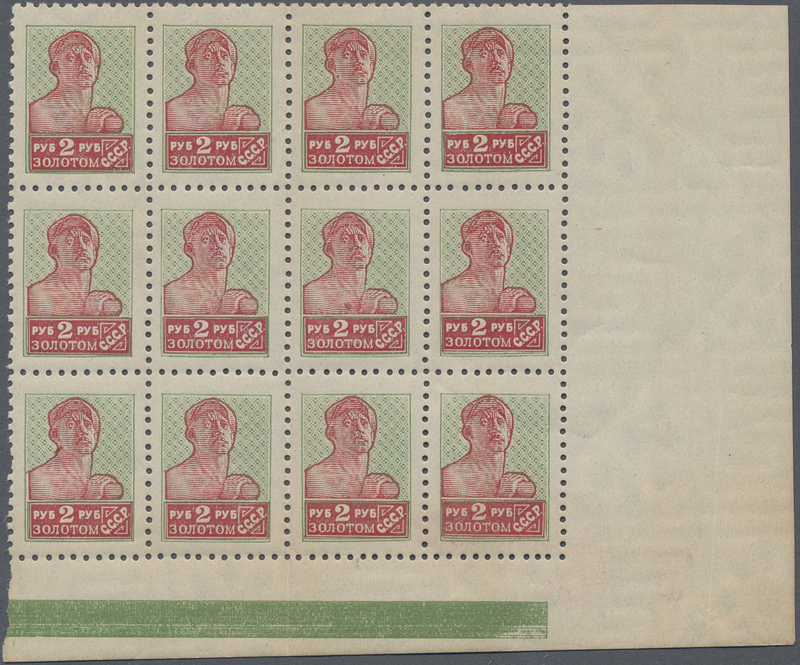 20444 ungebraucht (hinged) * 278 II B X II 1926, Lithographed 8 kop. 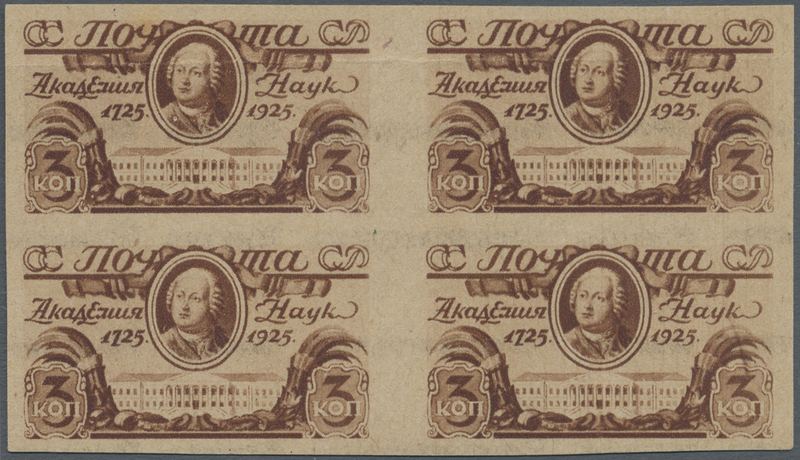 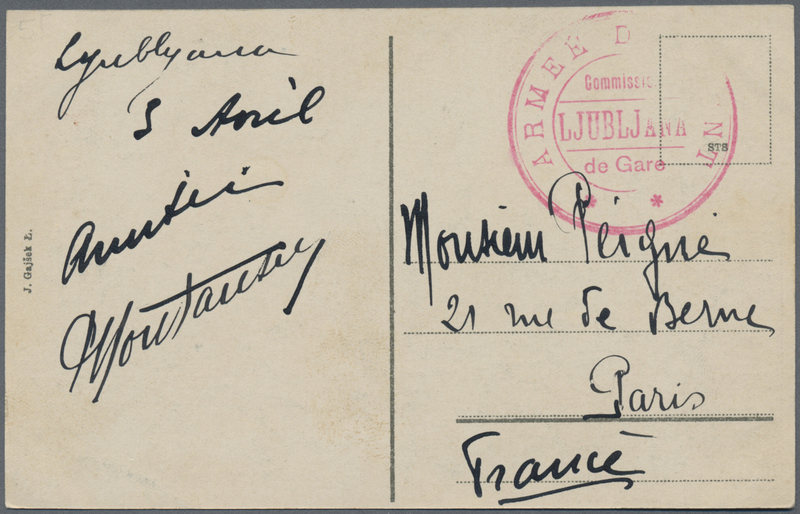 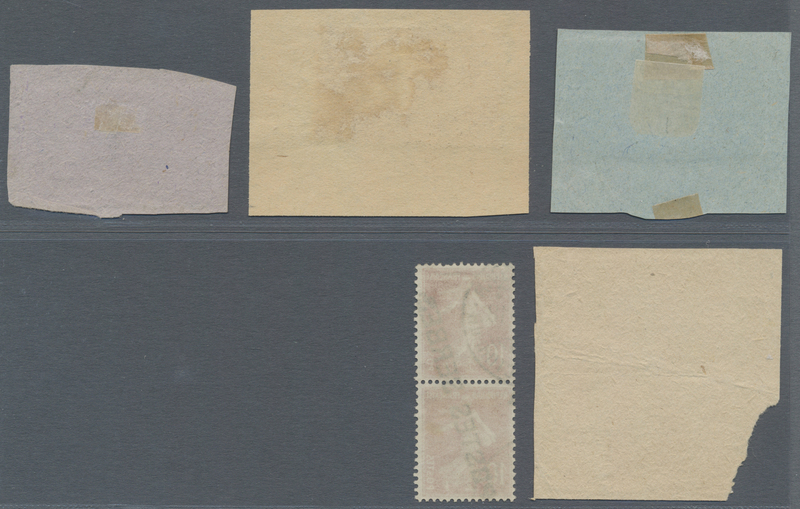 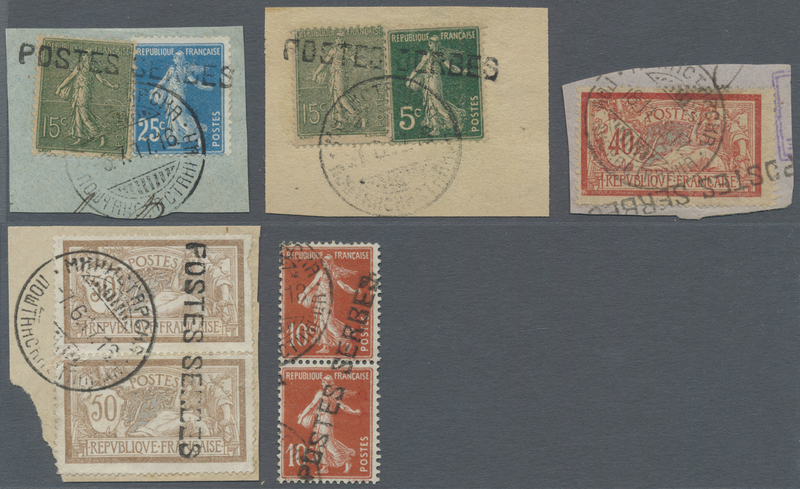 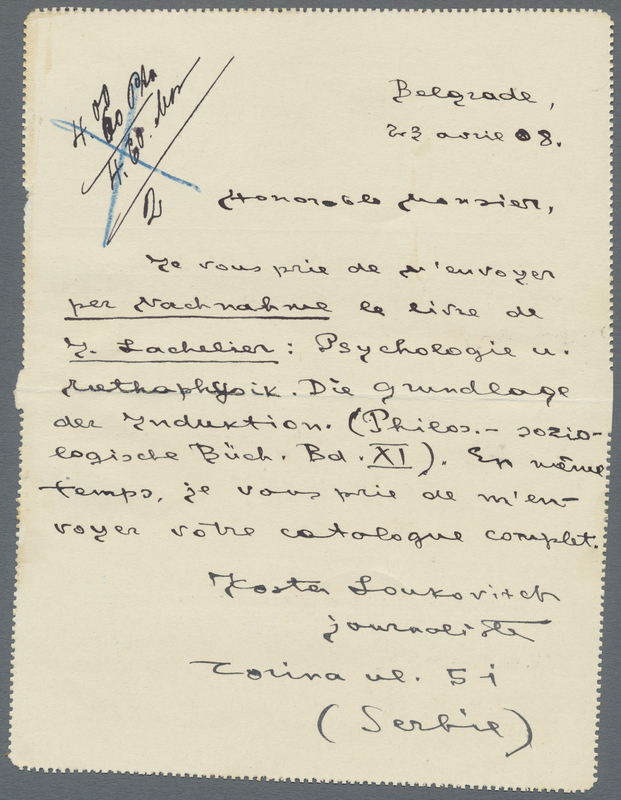 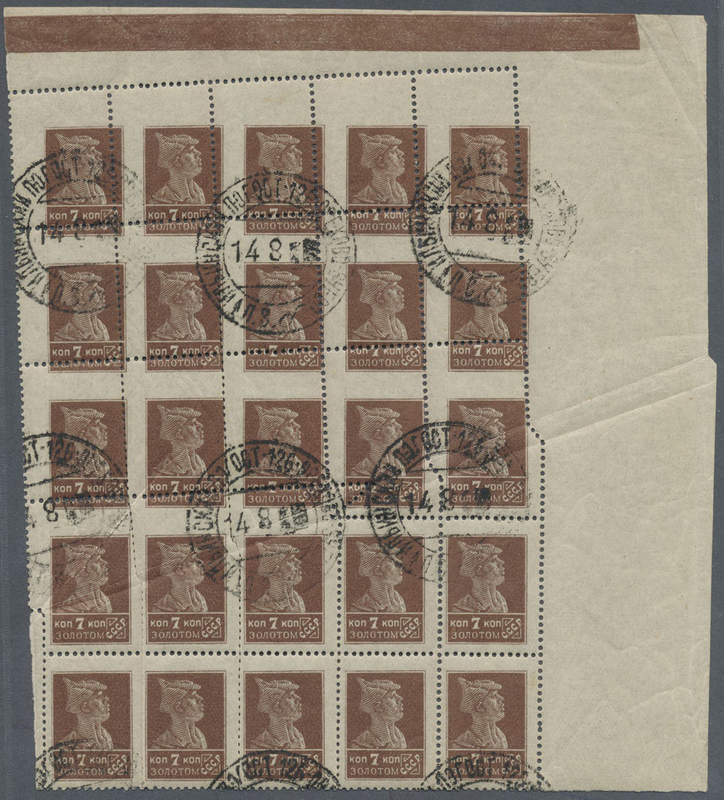 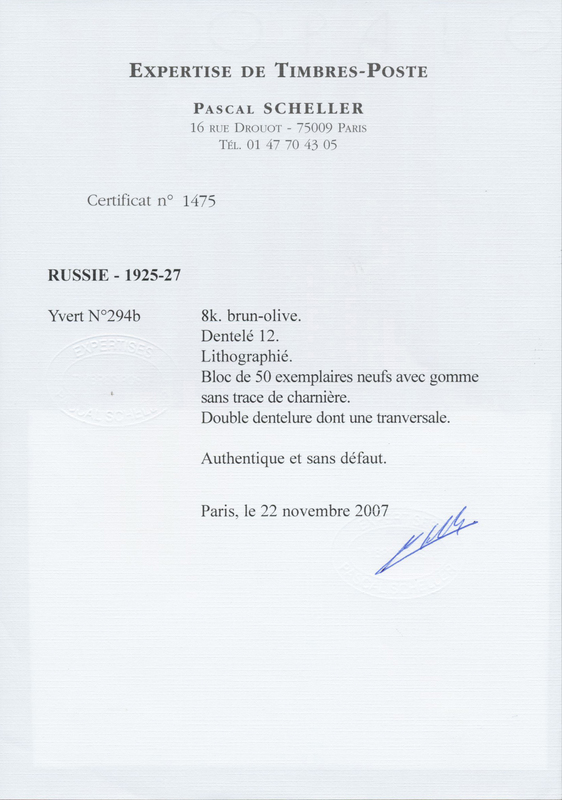 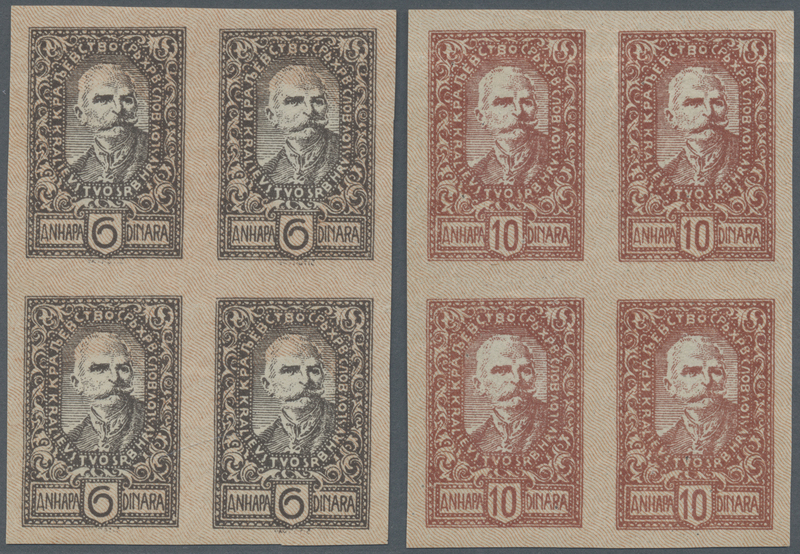 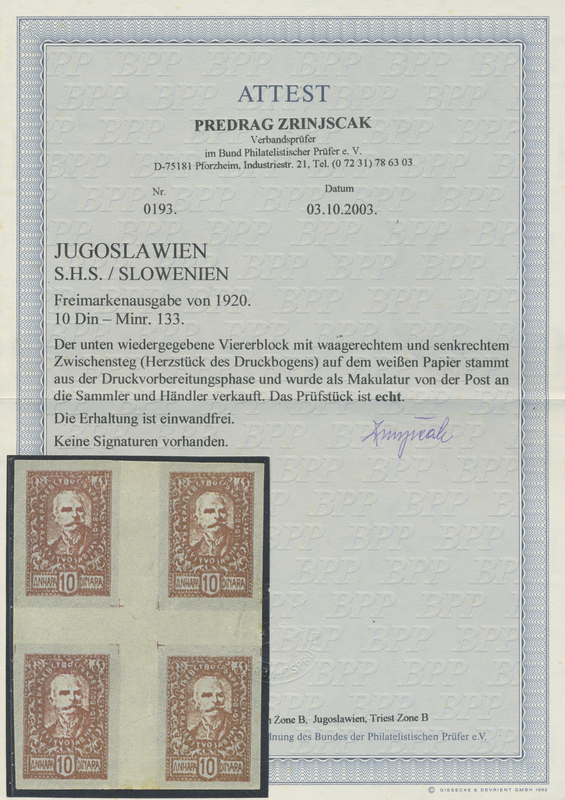 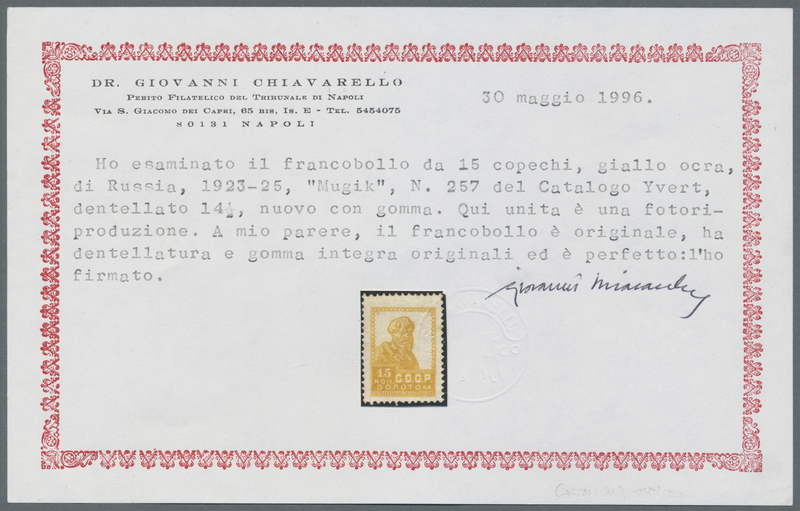 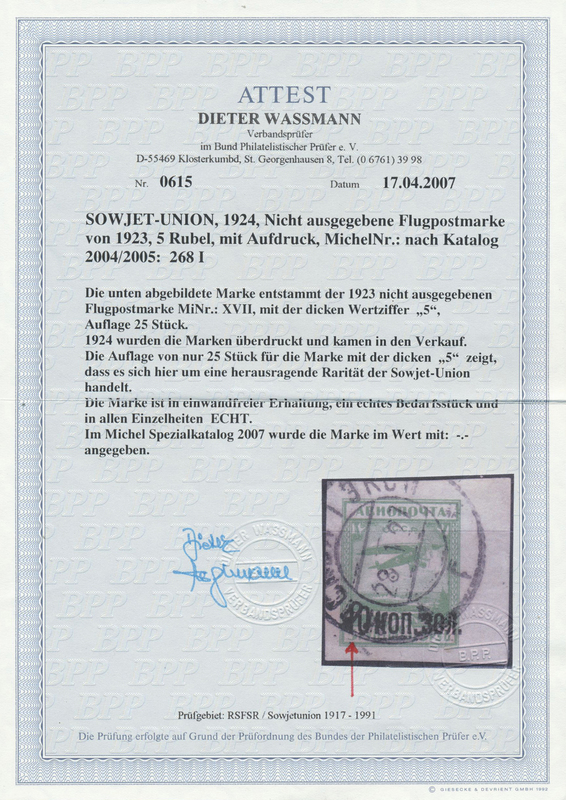 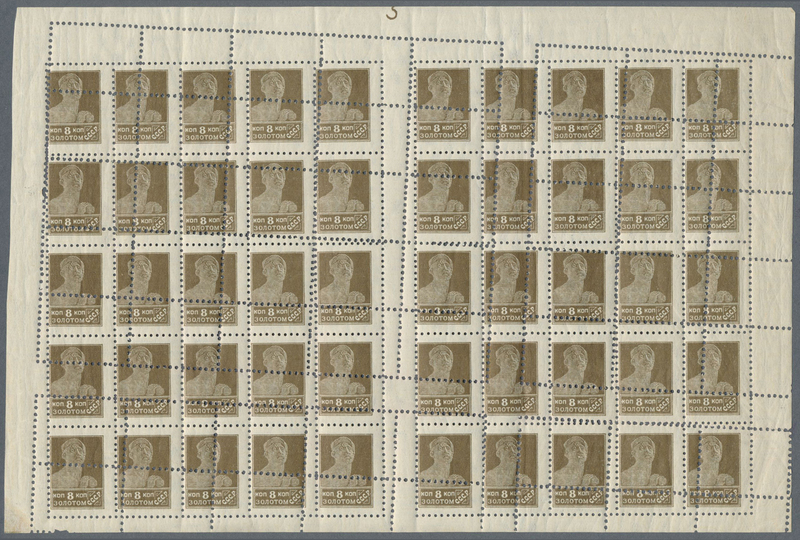 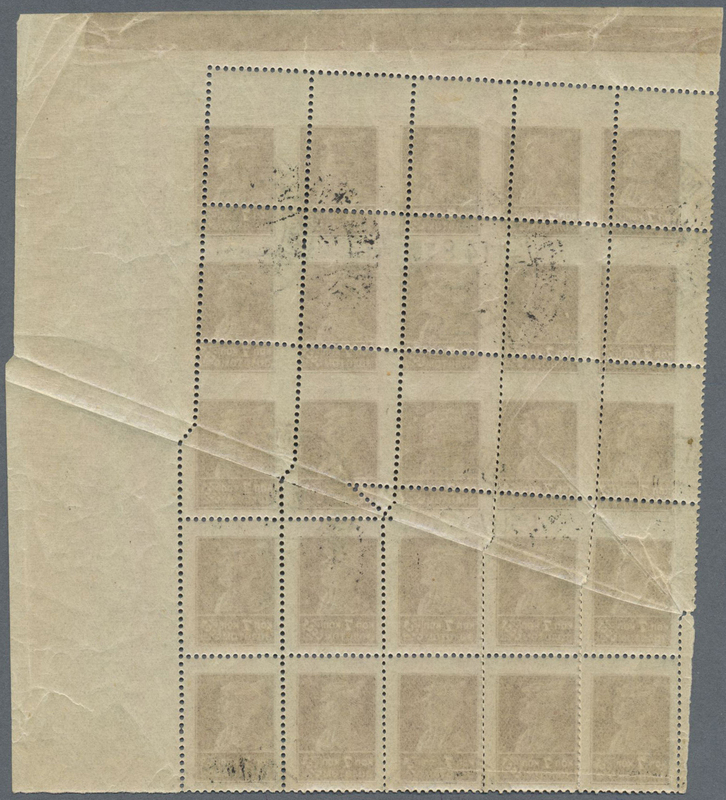 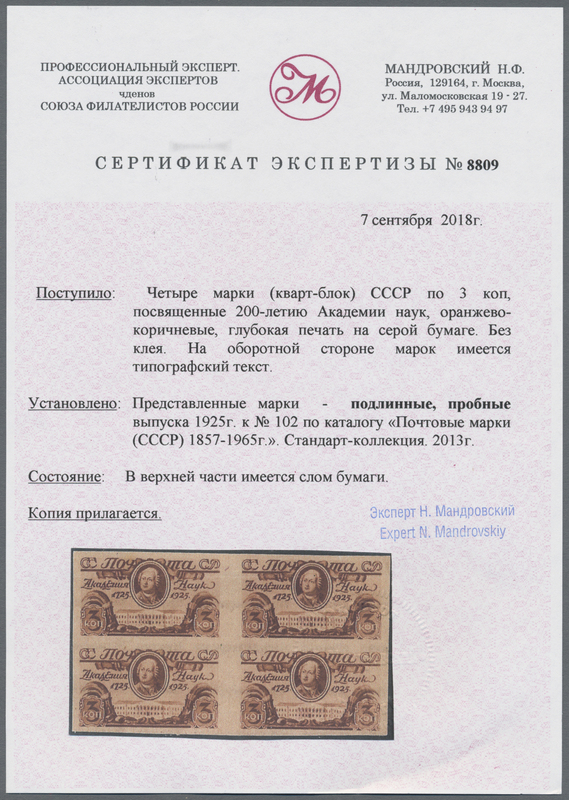 grey-olive, Type II, Wmk upright, Perf 12, variety Cancelation Perforation, unused, signed Wassmann BPP.